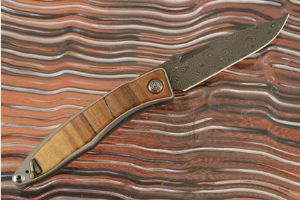 As a young man in South Africa, Chris Reeve dreamed of owning a shop where he could make good knives and earn a comfortable living. 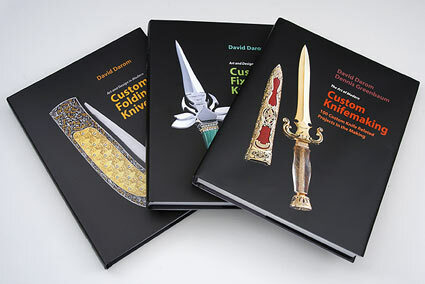 He never predicted that his passion for knives would take him halfway around the world, inspire such a large and loyal group of customers, and take him on “a financial and emotional roller coaster ride.” As a former Grand Prix motorcyclist, Chris redirected his zeal into knife making - looking at every feature from a different angle, taking different approaches, using different techniques and different materials. 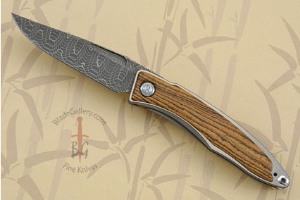 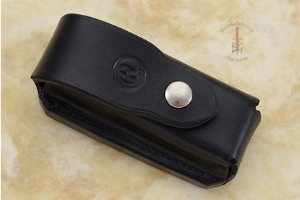 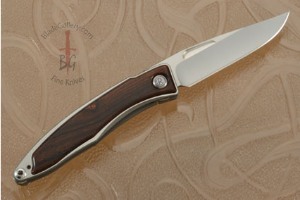 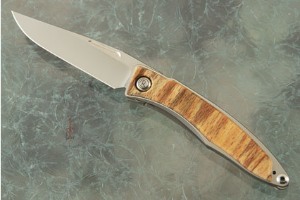 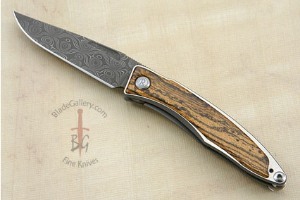 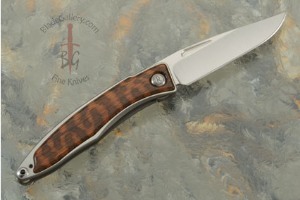 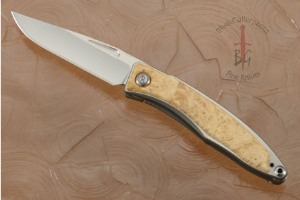 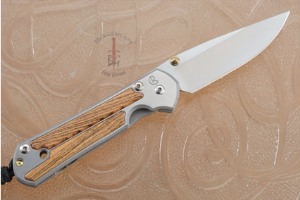 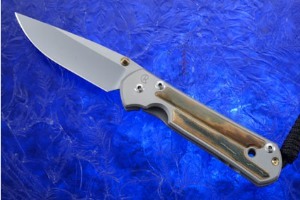 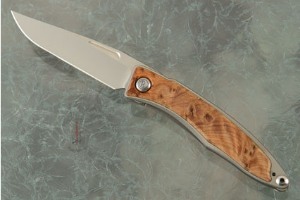 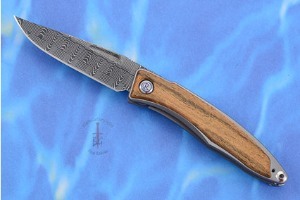 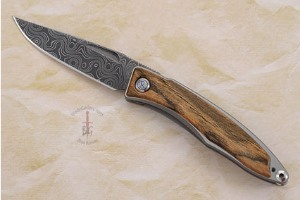 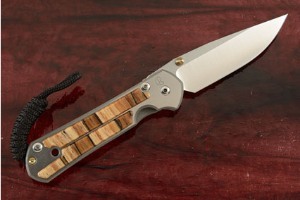 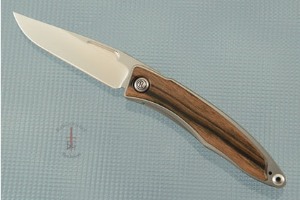 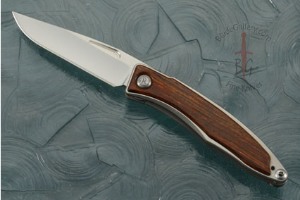 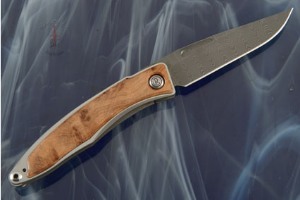 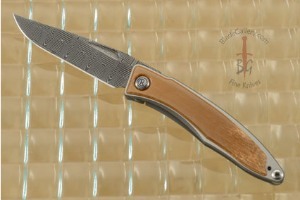 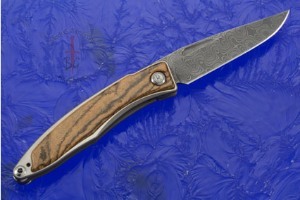 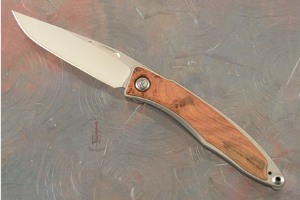 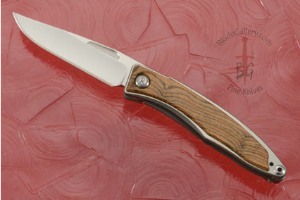 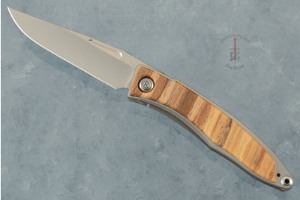 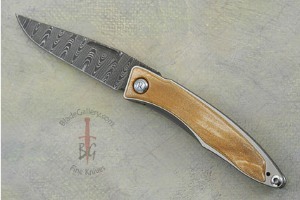 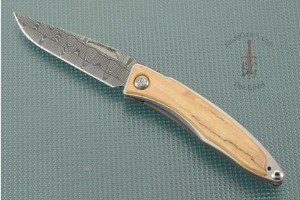 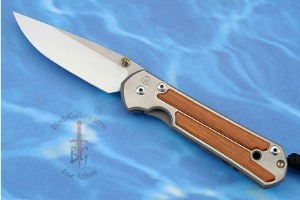 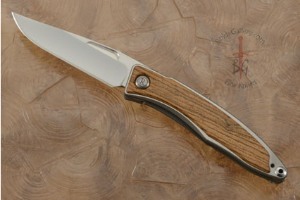 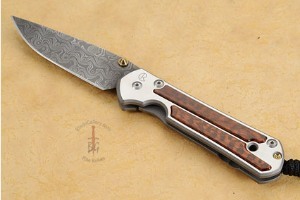 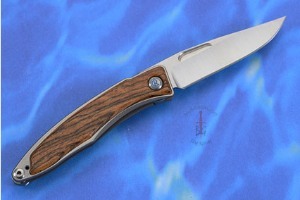 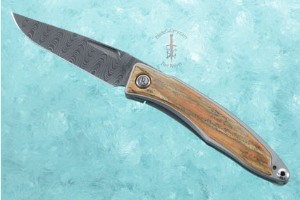 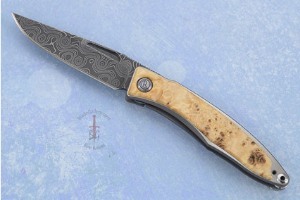 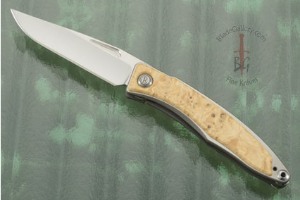 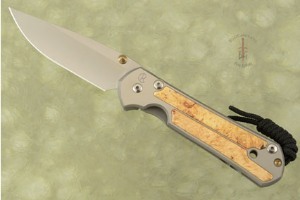 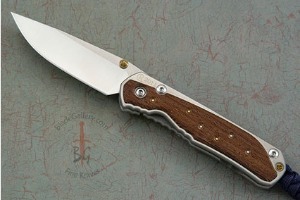 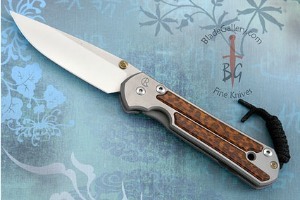 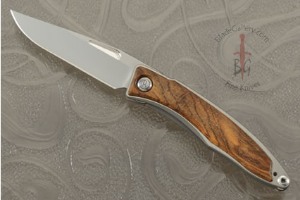 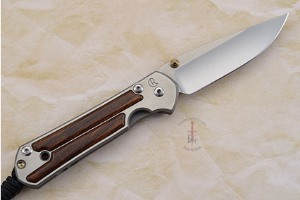 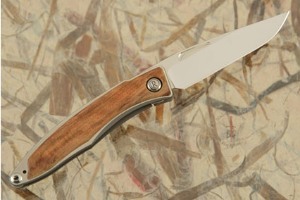 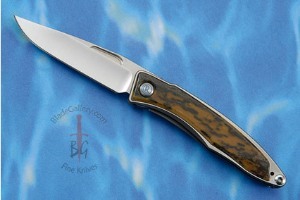 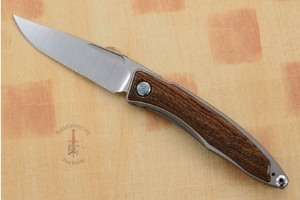 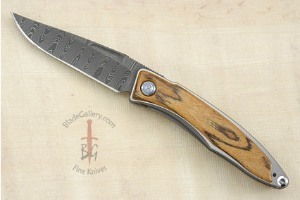 Chris has always striven to produce the best possible knives with the resources available to him. 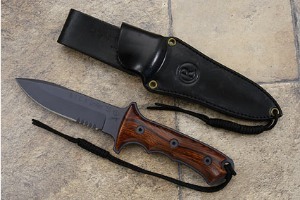 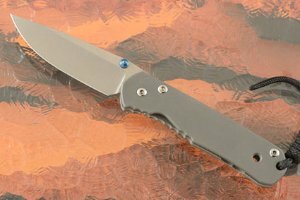 When Chris Reeve Knives began in January 1984, Chris was living in South Africa and working from the single garage attached to the house. 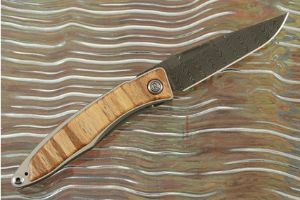 He worked by himself, making and selling various designs of knives, including the early models of the one-piece design, in the local South African market. 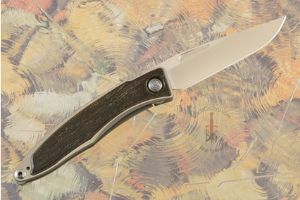 Because of the promise of regular business in the US, Chris Reeve Knives began to grow, with its second employee hired in July of 1985. 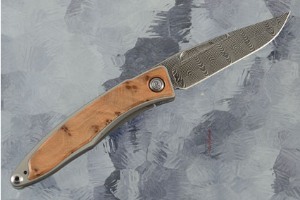 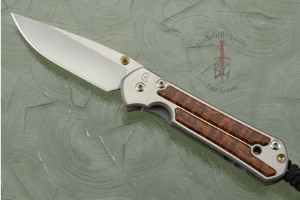 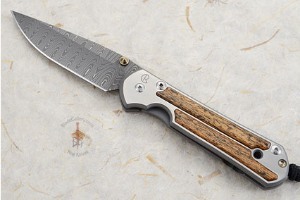 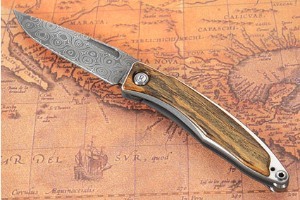 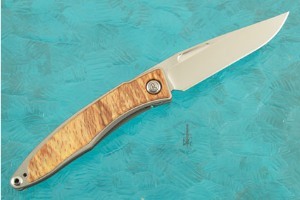 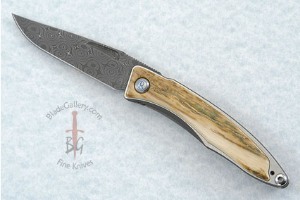 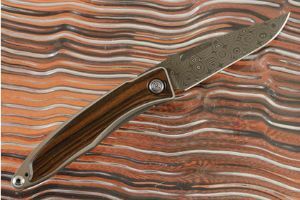 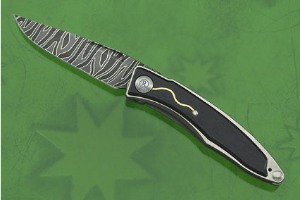 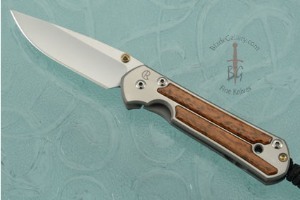 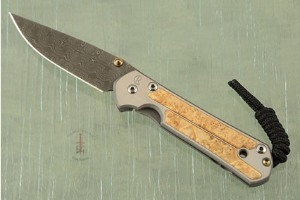 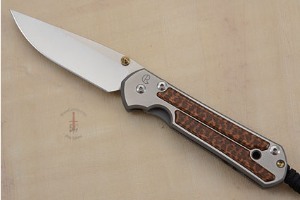 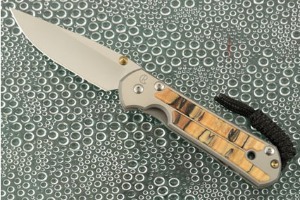 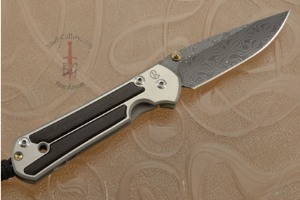 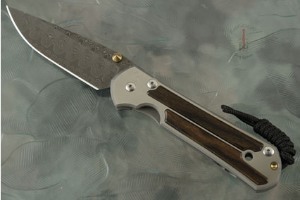 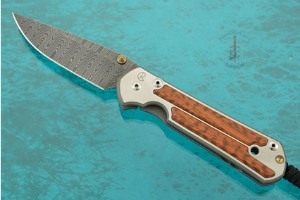 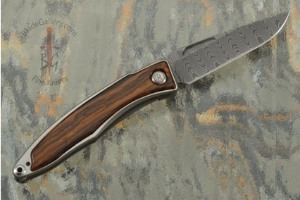 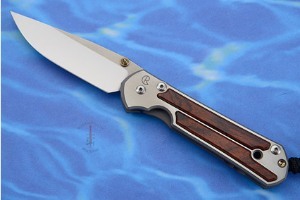 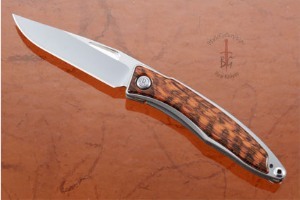 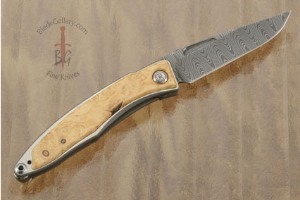 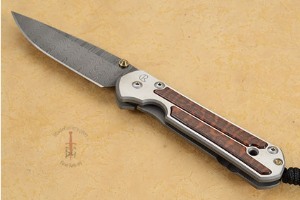 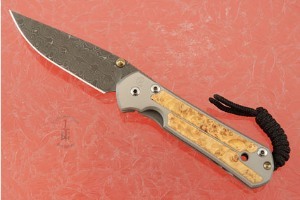 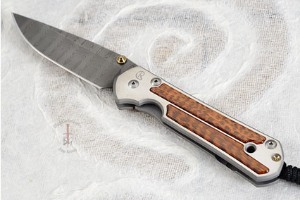 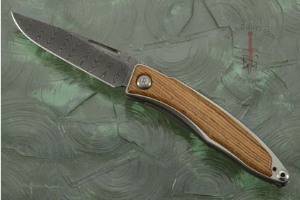 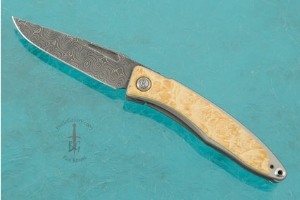 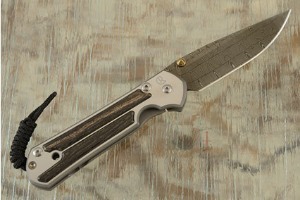 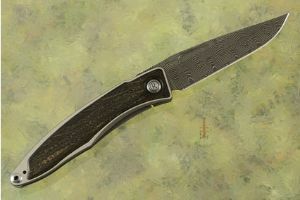 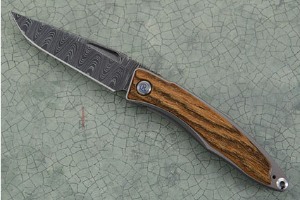 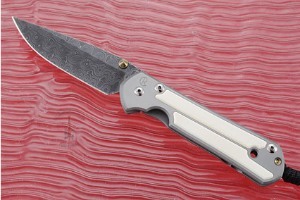 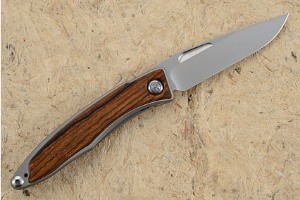 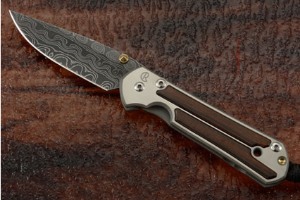 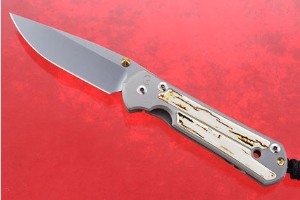 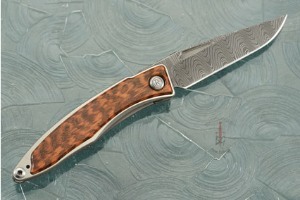 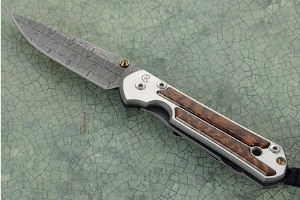 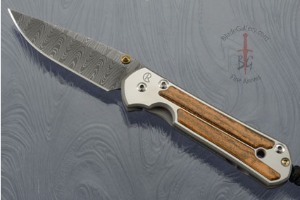 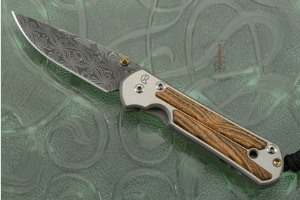 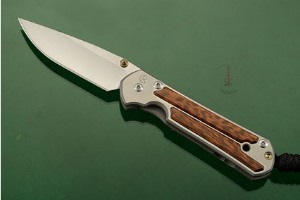 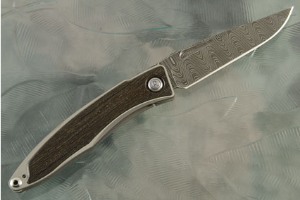 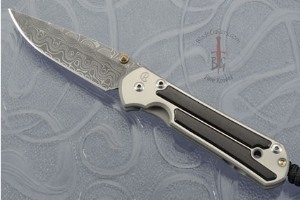 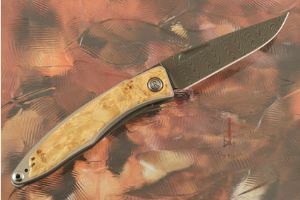 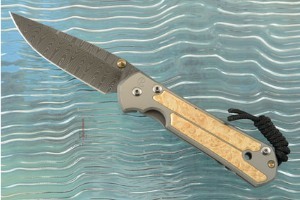 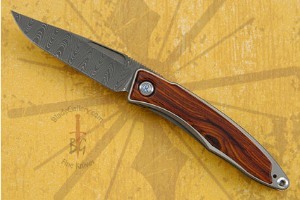 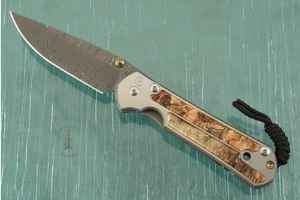 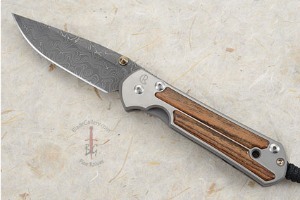 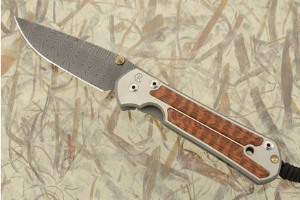 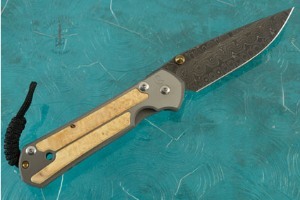 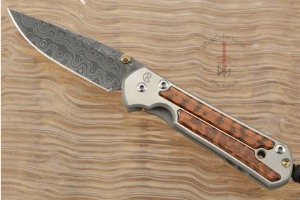 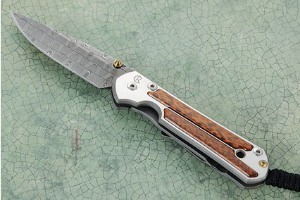 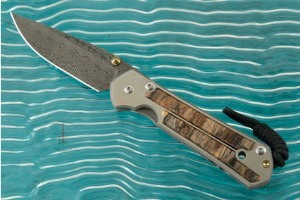 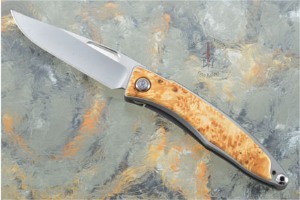 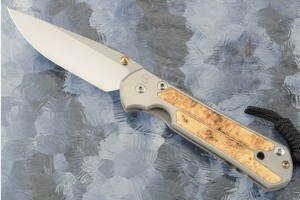 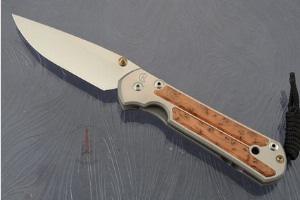 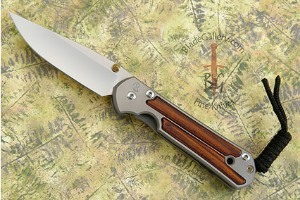 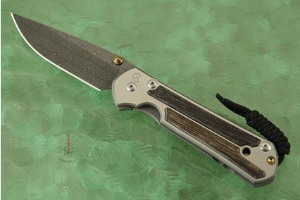 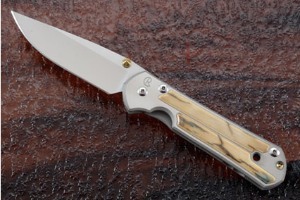 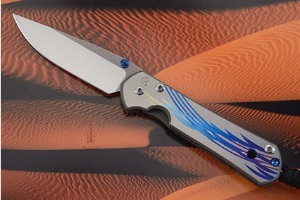 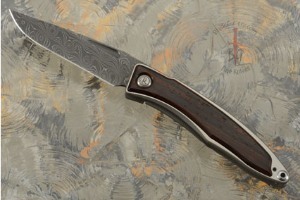 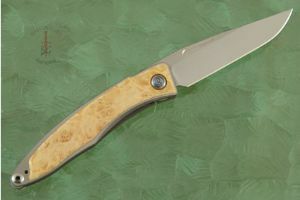 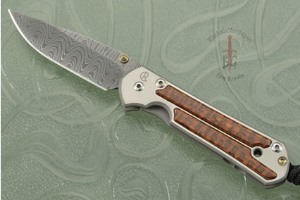 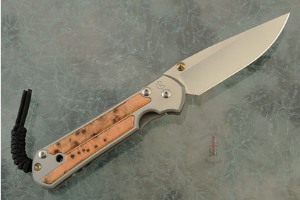 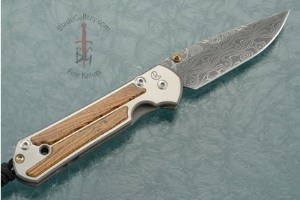 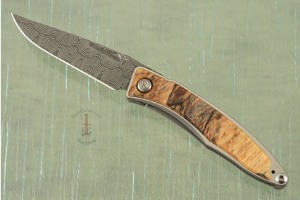 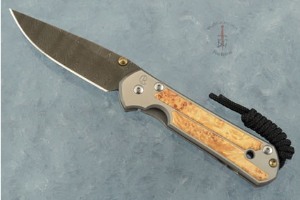 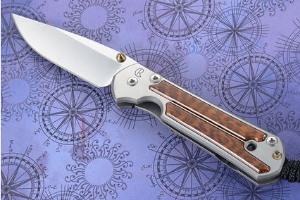 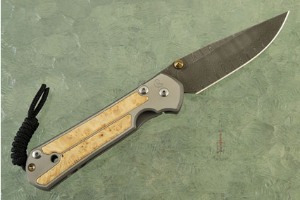 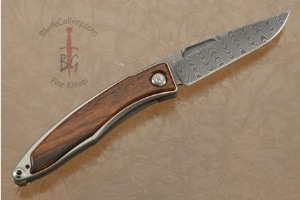 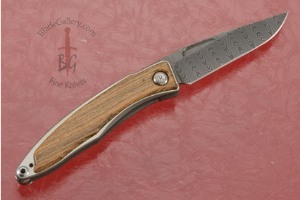 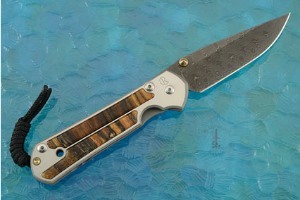 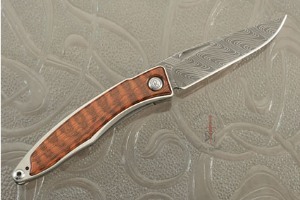 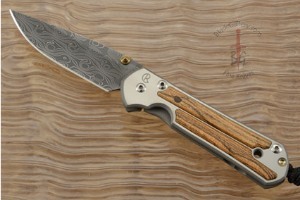 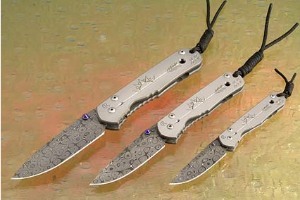 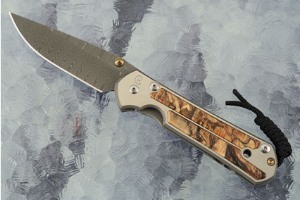 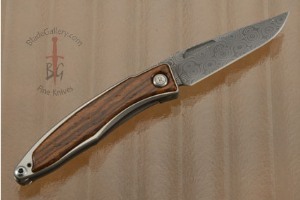 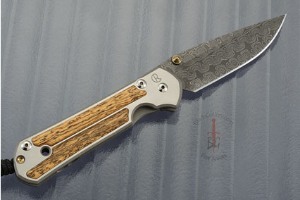 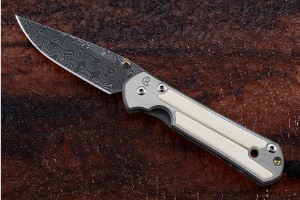 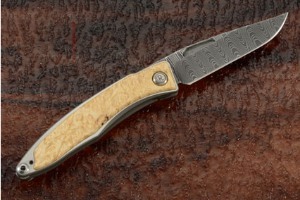 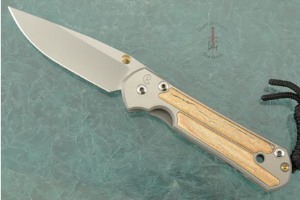 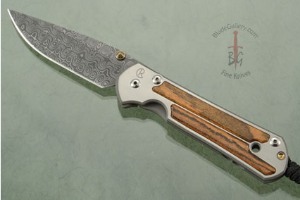 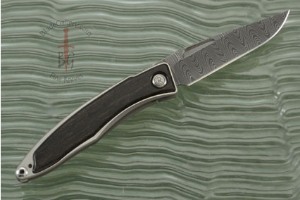 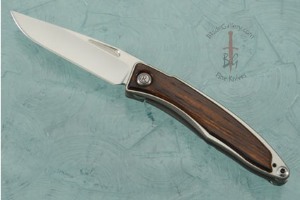 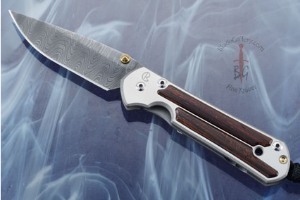 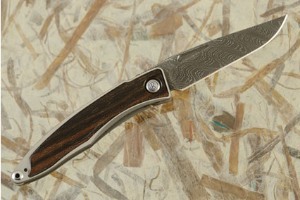 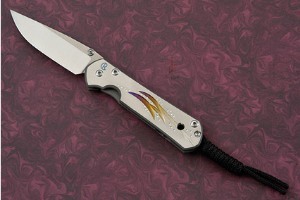 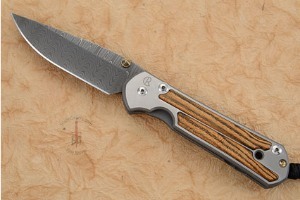 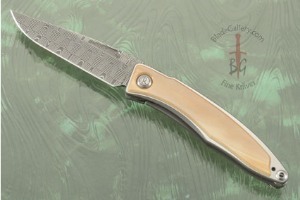 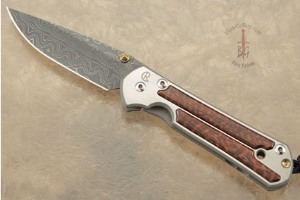 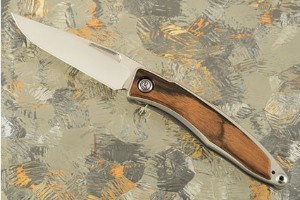 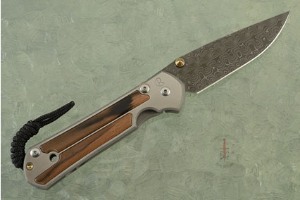 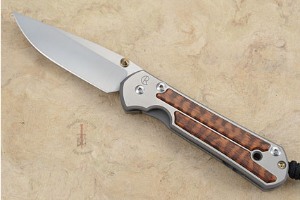 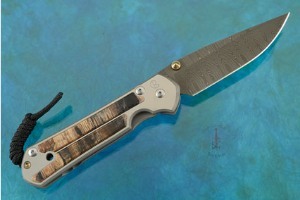 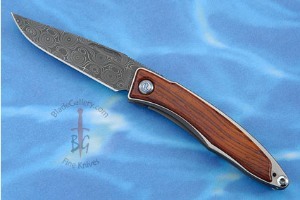 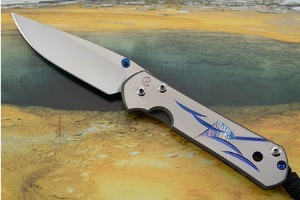 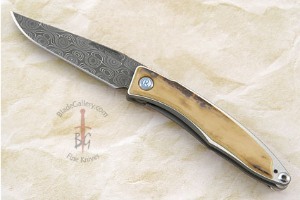 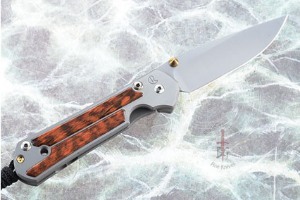 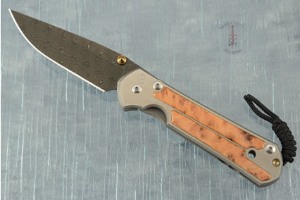 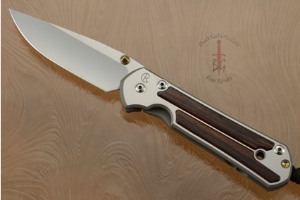 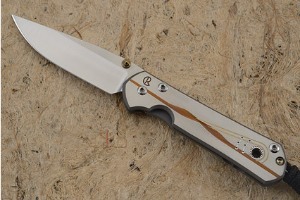 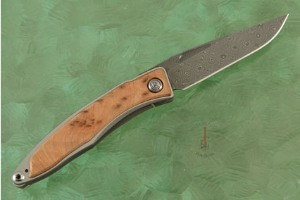 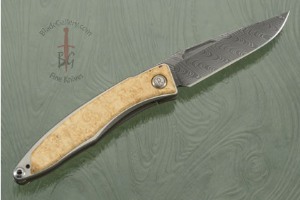 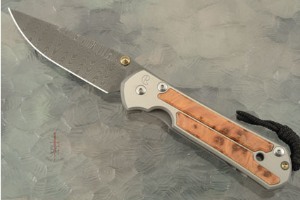 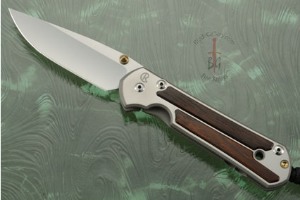 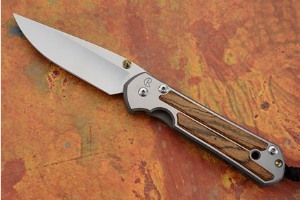 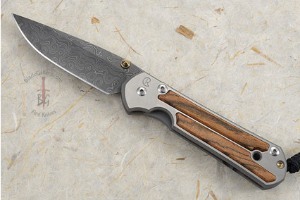 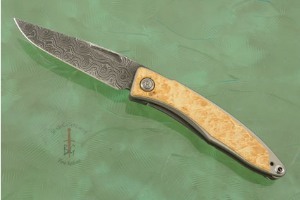 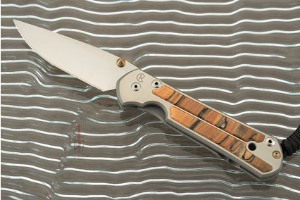 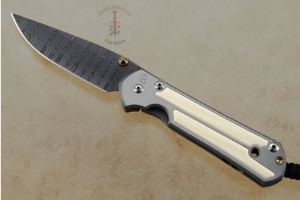 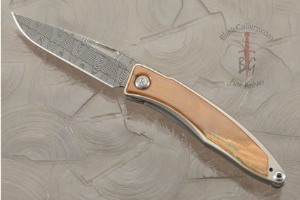 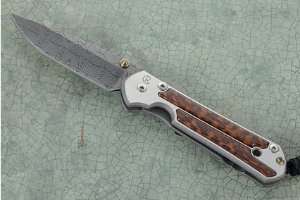 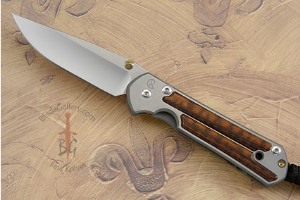 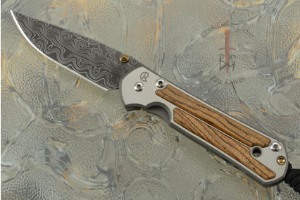 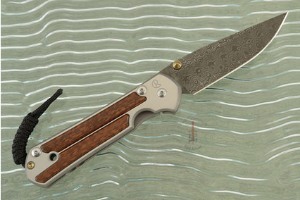 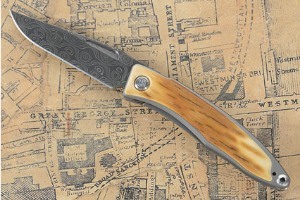 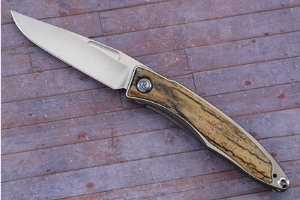 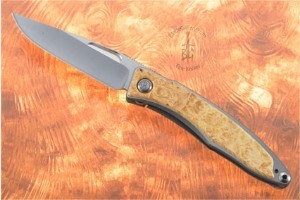 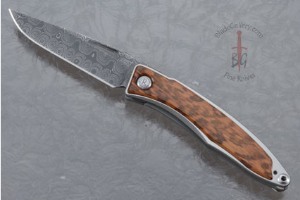 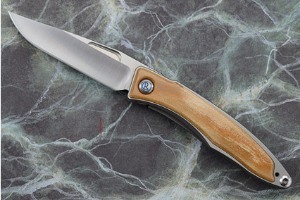 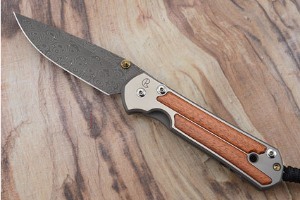 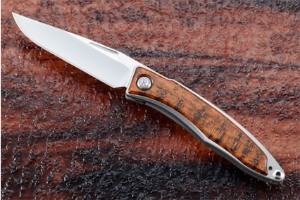 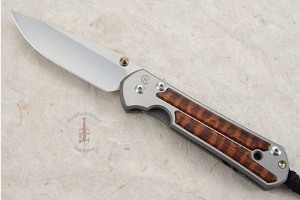 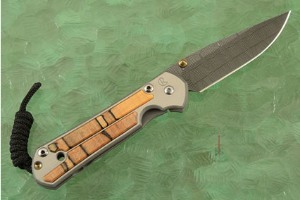 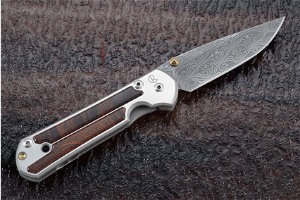 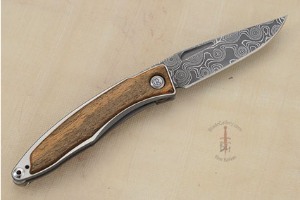 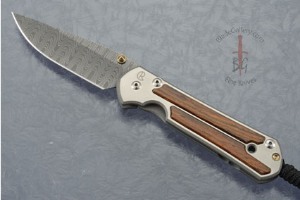 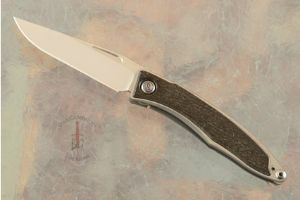 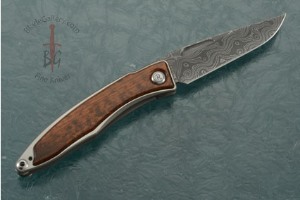 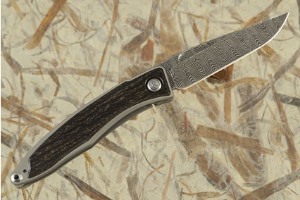 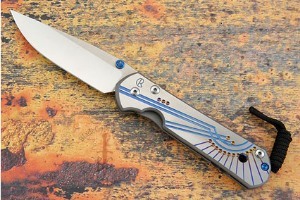 During the early years Chris Reeve Knives exhibited at custom knife shows including the California Custom Knife Show and the New York Custom Knife Show. 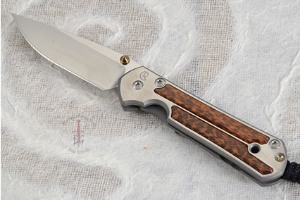 By 1989, they had a staff of five - Chris, Anne (his wife who had been working full-time in the company since January 1987) and three full-time employees. 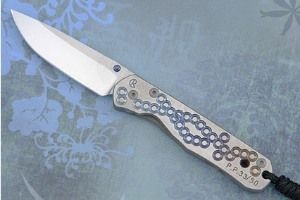 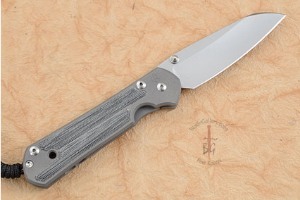 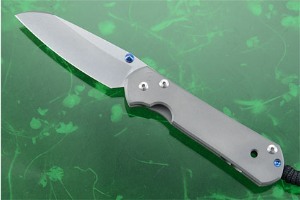 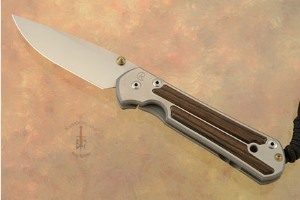 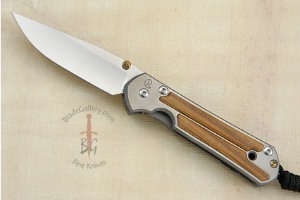 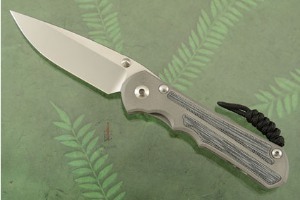 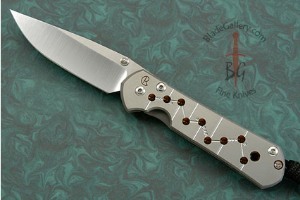 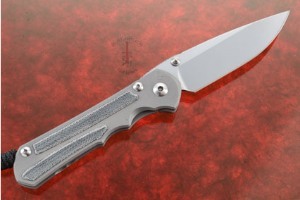 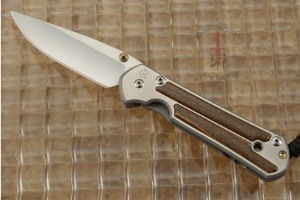 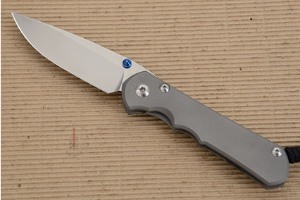 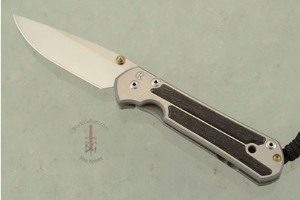 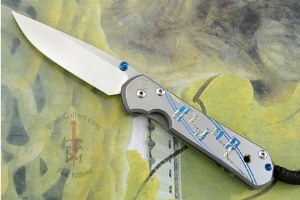 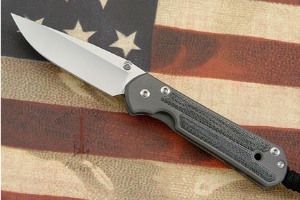 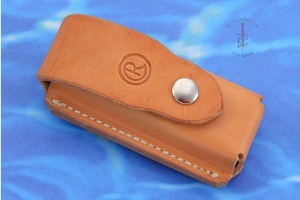 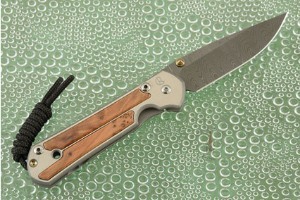 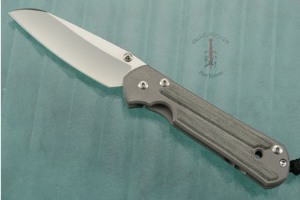 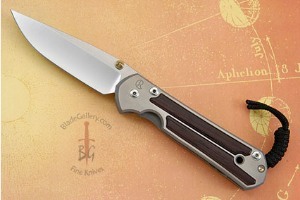 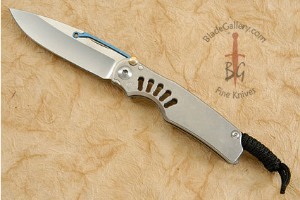 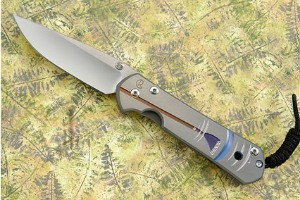 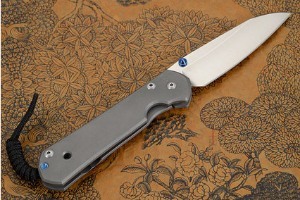 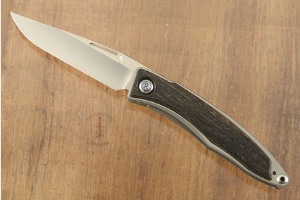 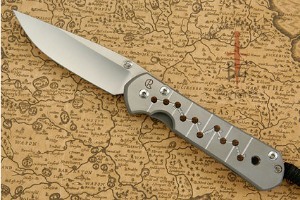 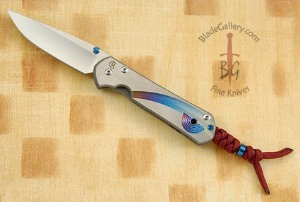 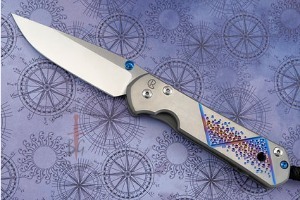 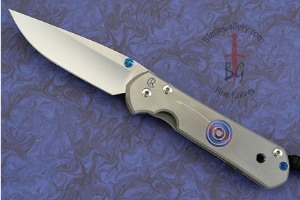 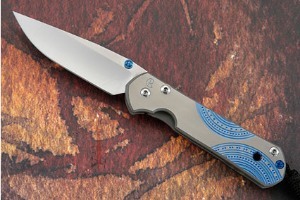 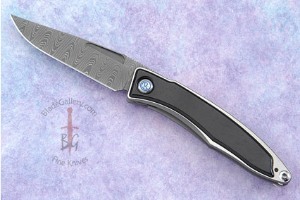 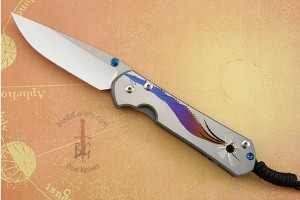 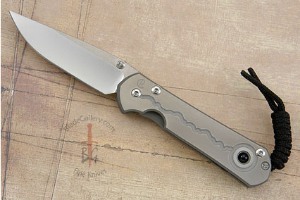 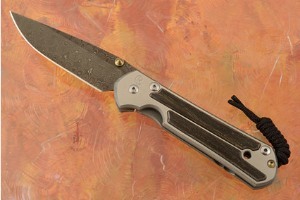 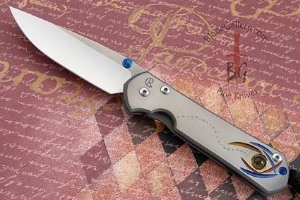 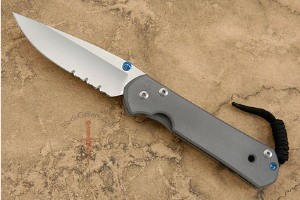 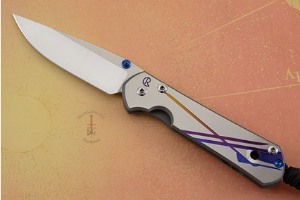 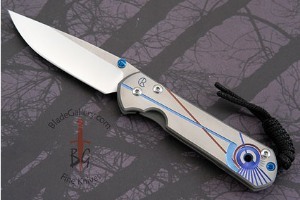 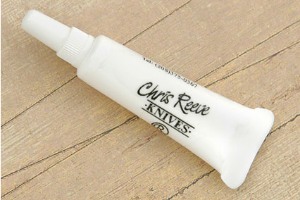 Due to continuing political strife and a spiraling cost of living, Chris Reeve Knives moved to the US. 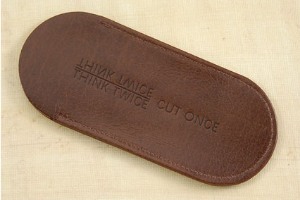 Lengthy and careful consideration was given to the choice of location. 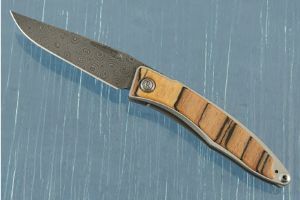 Boise, ID was chosen for a number of reasons, the most important of which was that the city is large enough to provide the services required for the business yet small enough to allow newcomers to find their feet. 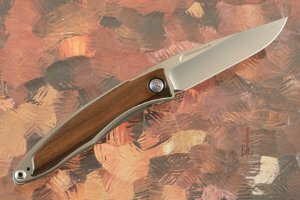 Chris and Anne arrived in Boise in early March 1989 and within six weeks had occupied workshop space and were producing finished knives. 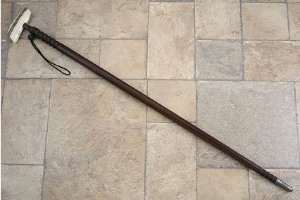 The first year or two in the USA were difficult. 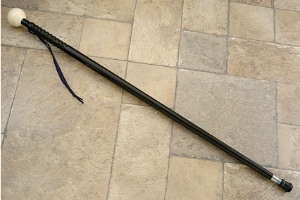 There was so much to learn - how to, where to and who to - were questions asked daily. 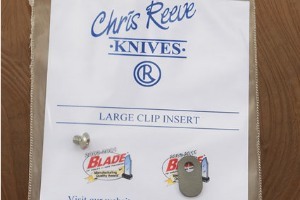 Chris and Anne attended 12 knife shows all over the USA between July 1989 and April 1990 - an exhausting but beneficial way to make the presence of Chris Reeve Knives known. 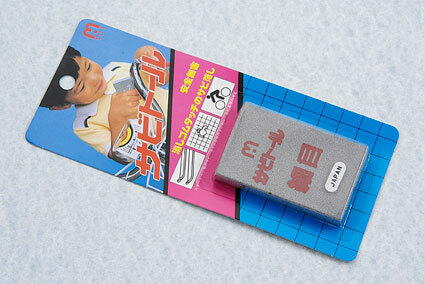 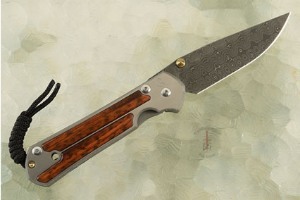 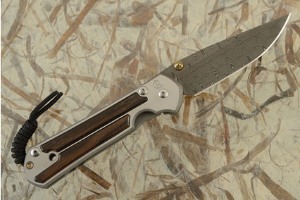 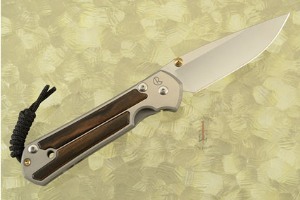 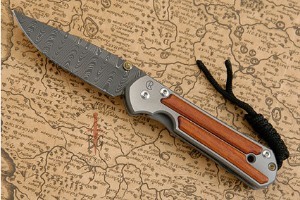 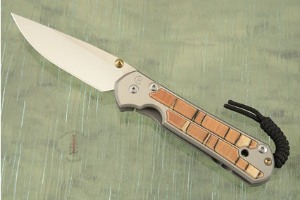 By 1991, the range of one piece knives grew to 21 different models. 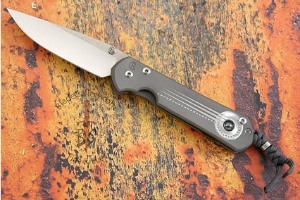 Every cent earned was reinvested in machinery. 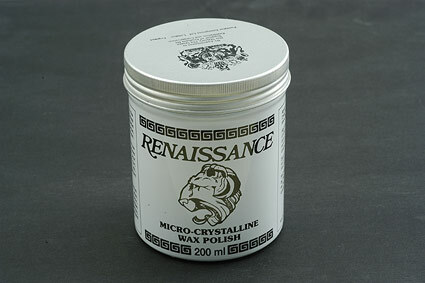 Continual attention was placed on refining the product, the methods of making the product and ensuring that the product was what the customer actually wanted. 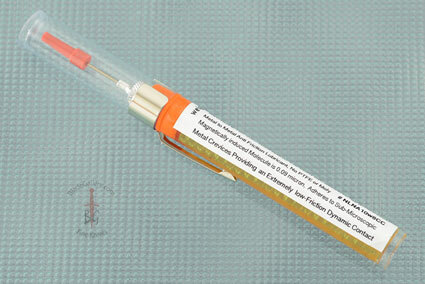 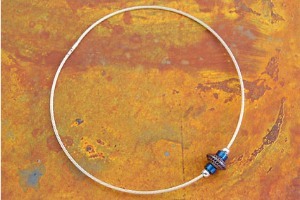 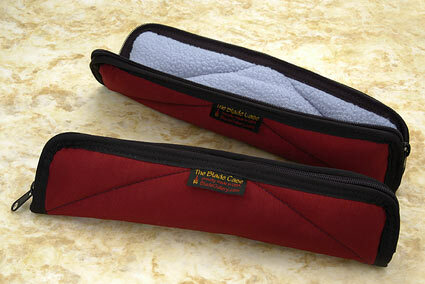 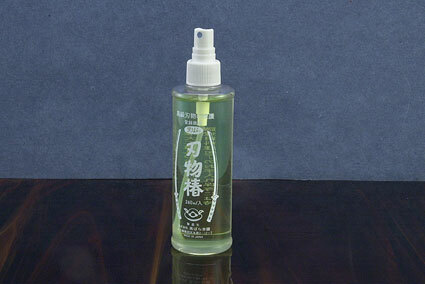 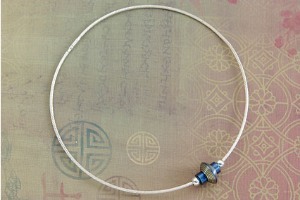 Because quality control and customer service are such important facets of the company, additional staff was employed. 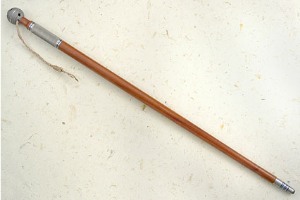 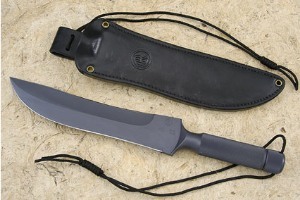 Chris Reeve's Sabenza was introduced in 1991. The success of this design has been phenomenal. 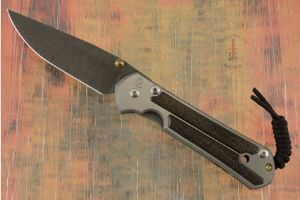 As a result of an article in the Fall 1990 issue of Fighting Knives, 75 orders were received from retail customers - none of whom had ever actually held the knife. An initial 86 purely hand-made large Sebenzas were made and supplied during the course of 1991. 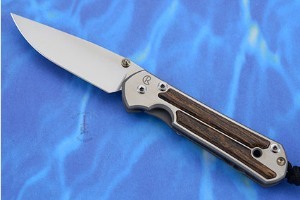 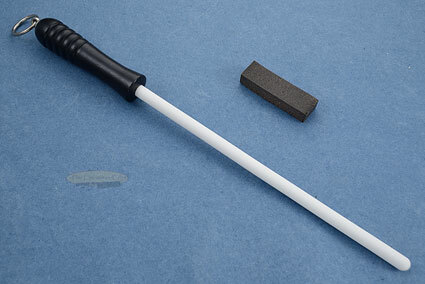 During this time, Chris was researching methods of making the knife more efficiently and in September 1991, purchased a $40,000 computer controlled machining center. 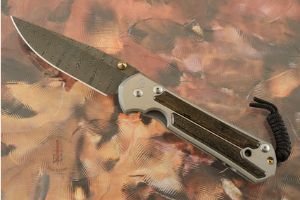 This was a major step forward and a steep learning curve lay ahead but it was now possible to increase the quality and the consistency of the components for the folder. 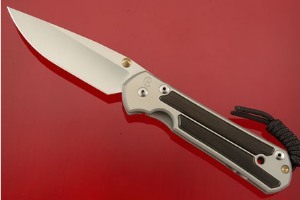 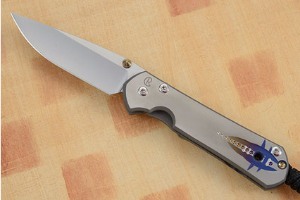 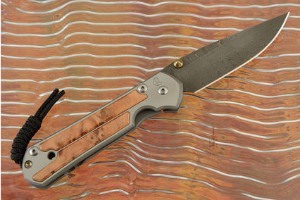 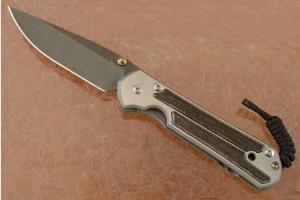 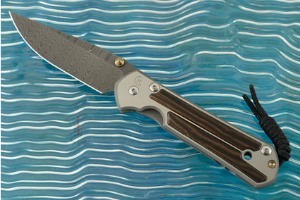 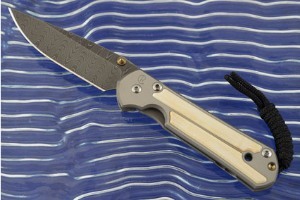 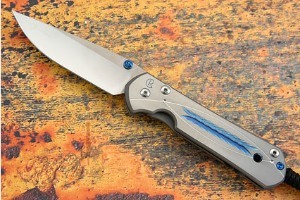 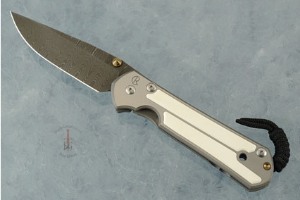 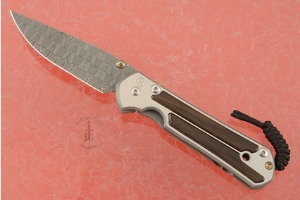 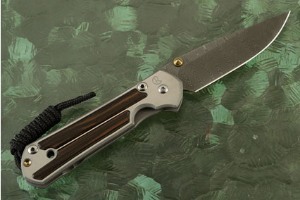 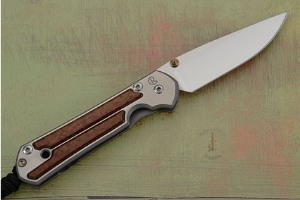 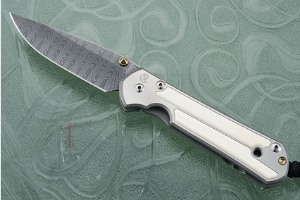 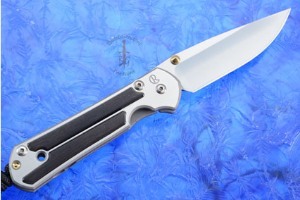 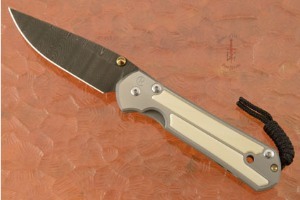 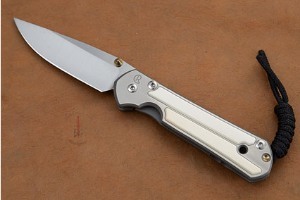 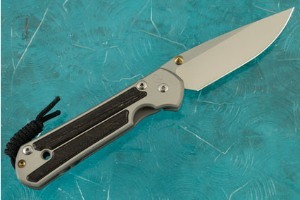 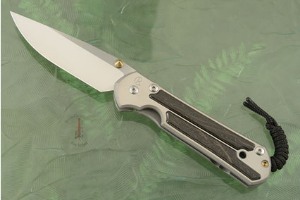 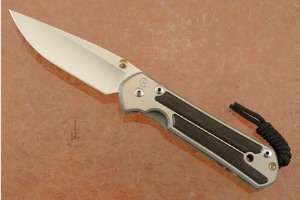 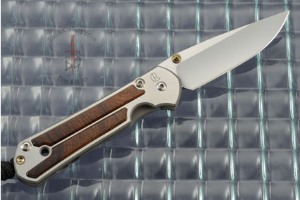 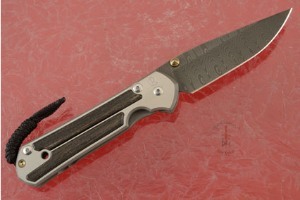 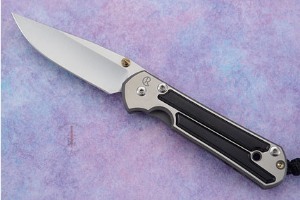 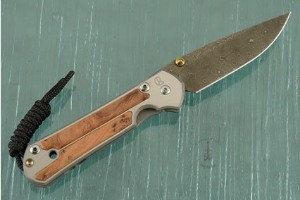 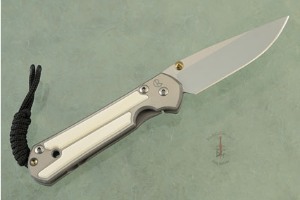 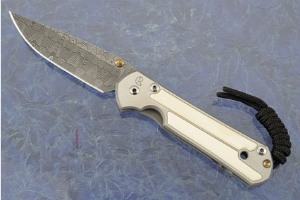 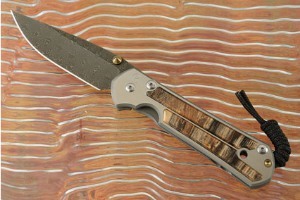 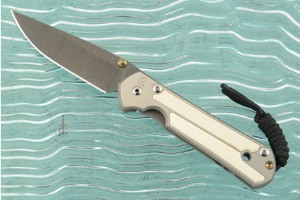 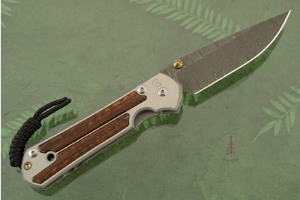 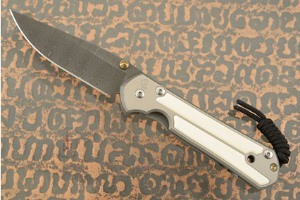 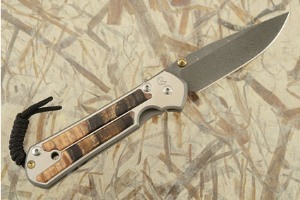 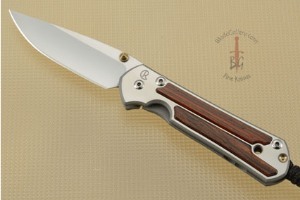 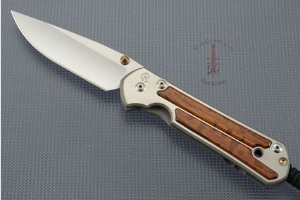 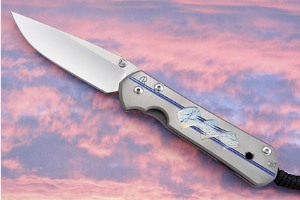 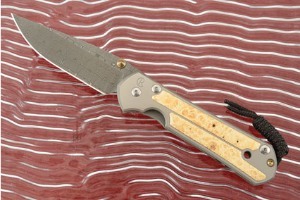 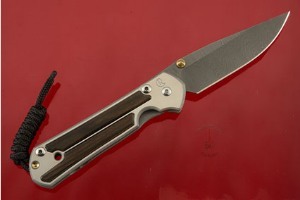 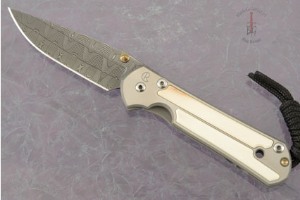 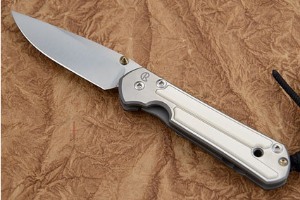 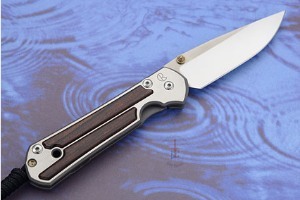 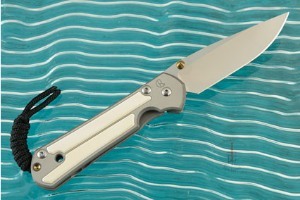 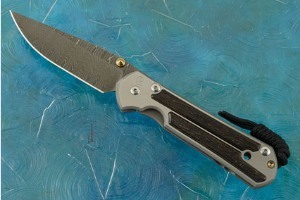 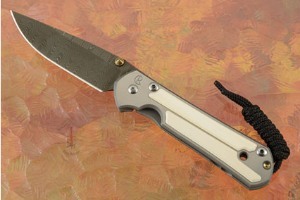 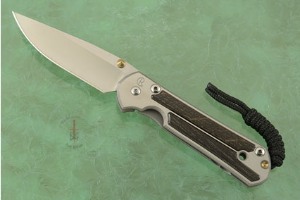 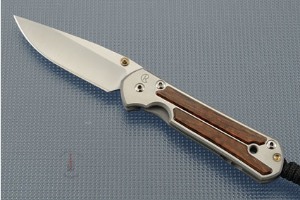 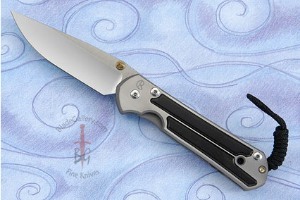 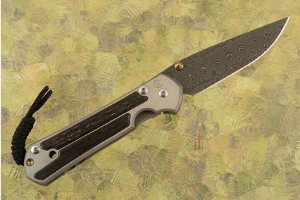 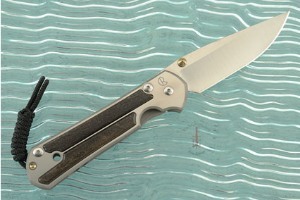 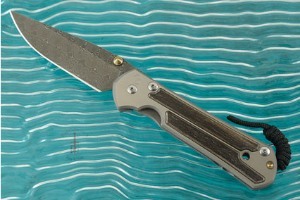 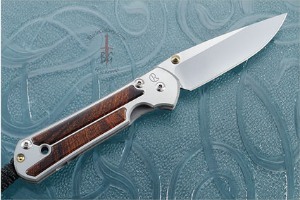 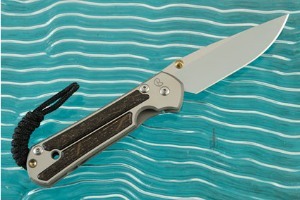 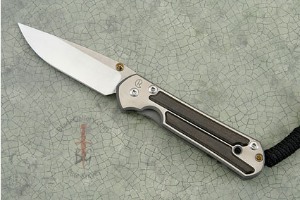 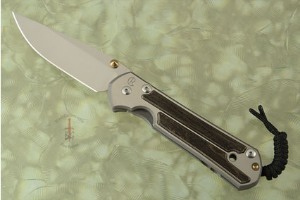 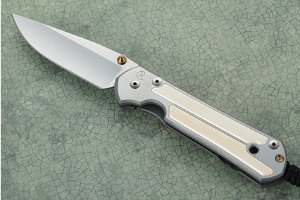 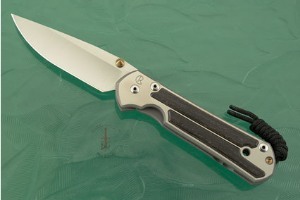 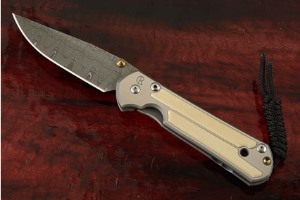 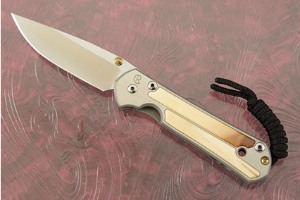 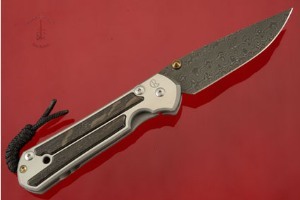 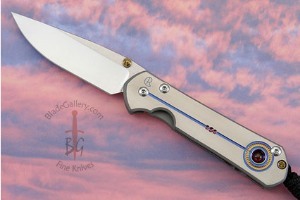 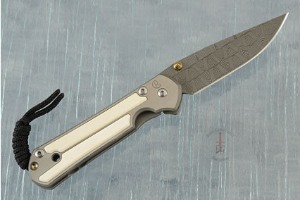 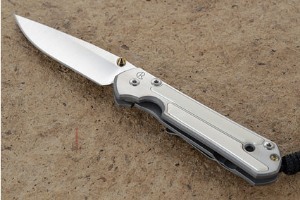 A smaller size Sebenza was introduced in October 1992. 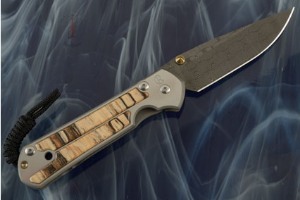 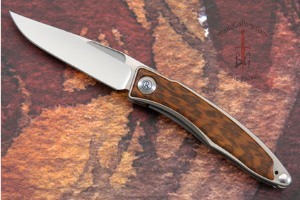 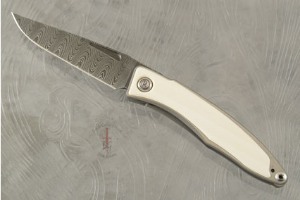 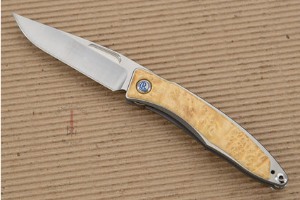 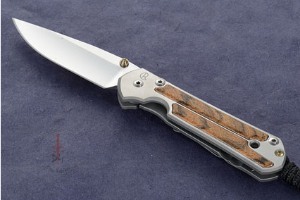 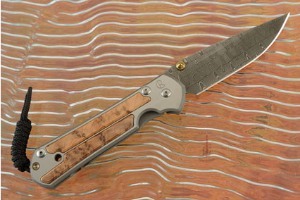 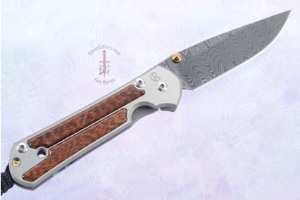 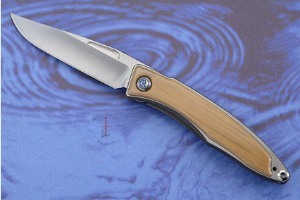 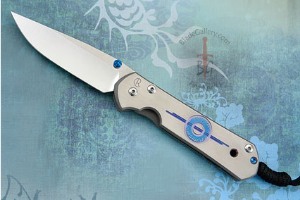 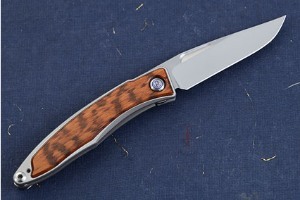 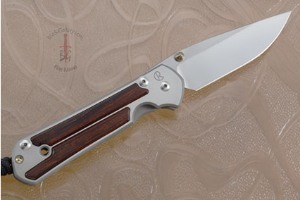 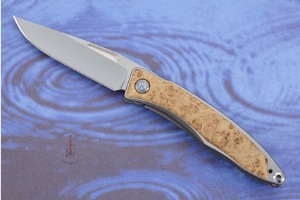 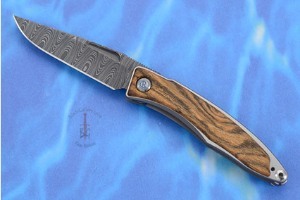 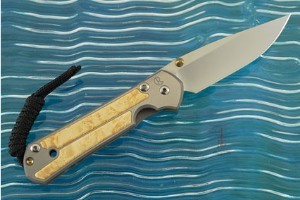 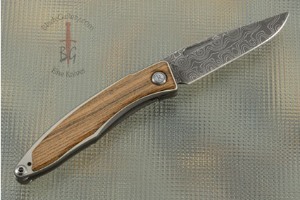 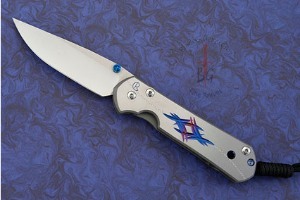 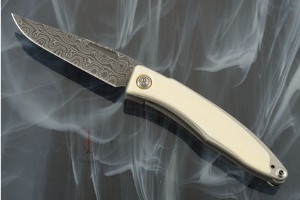 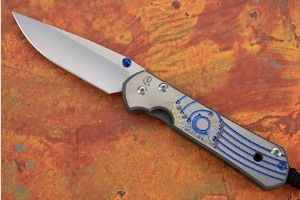 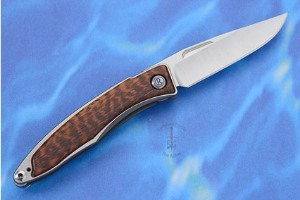 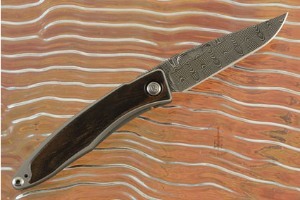 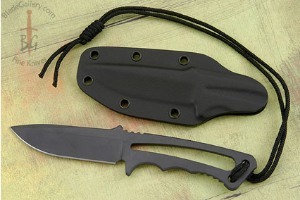 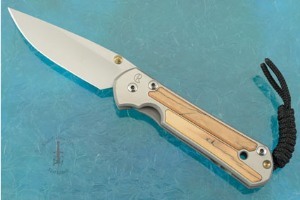 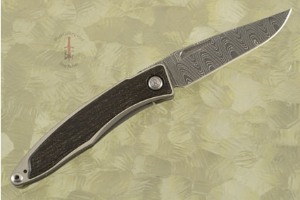 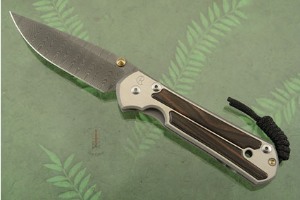 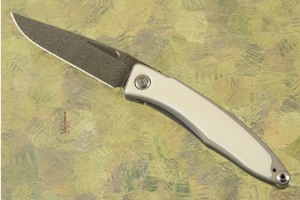 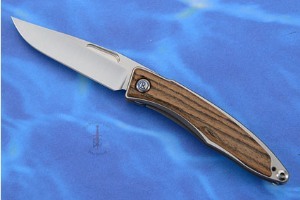 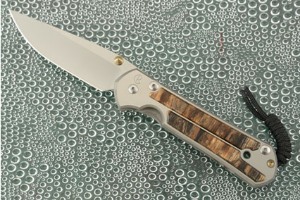 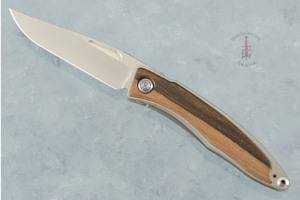 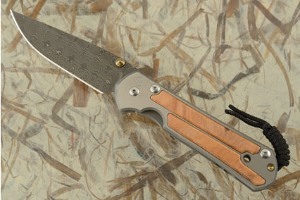 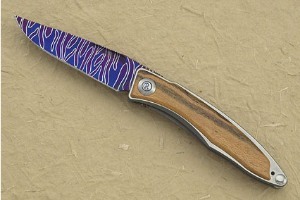 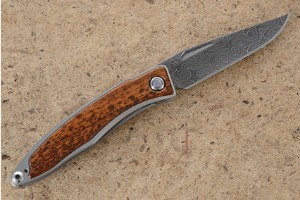 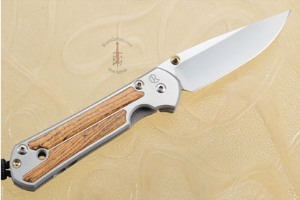 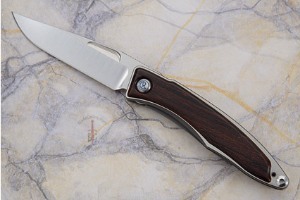 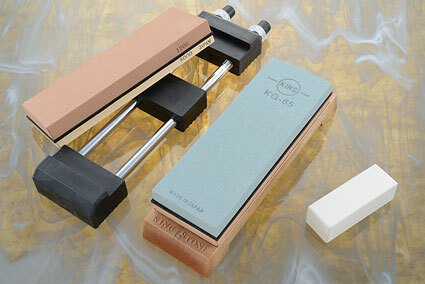 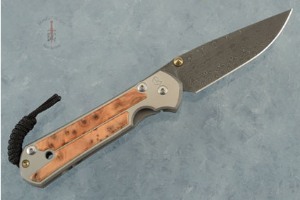 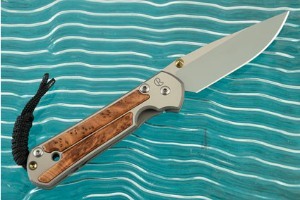 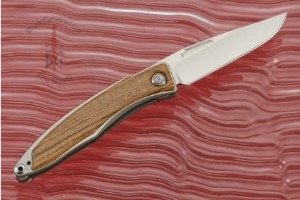 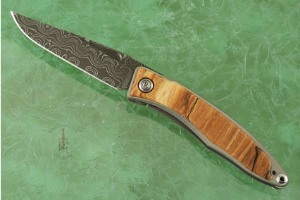 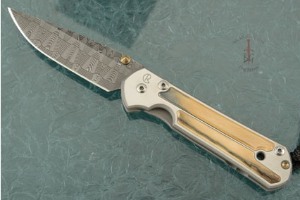 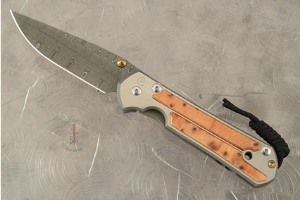 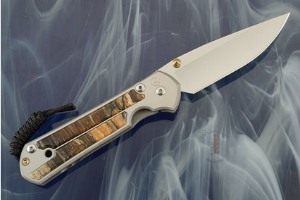 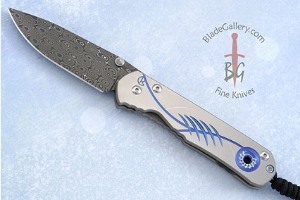 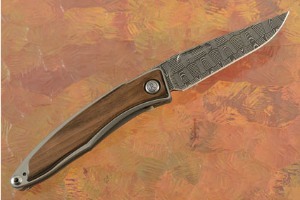 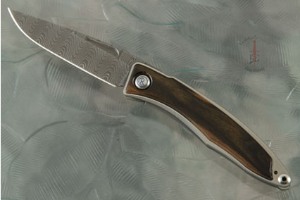 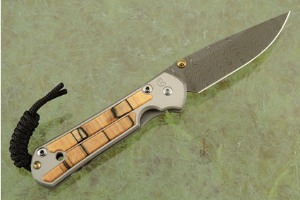 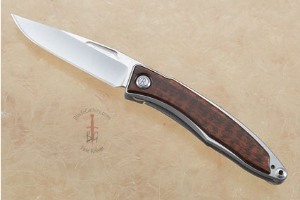 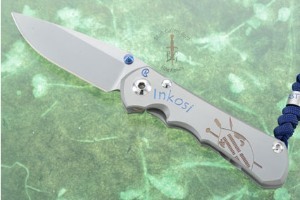 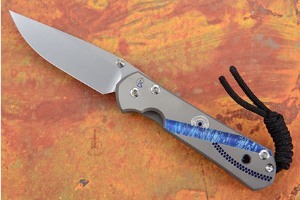 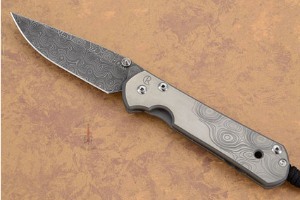 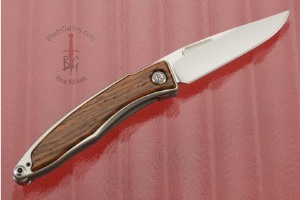 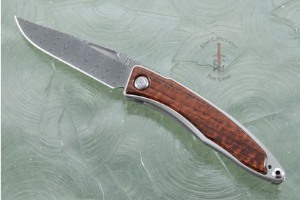 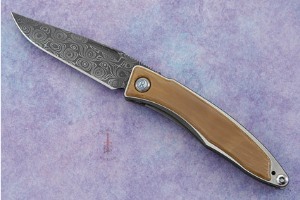 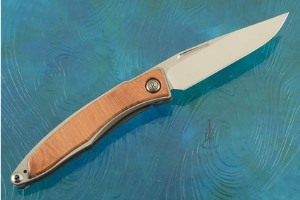 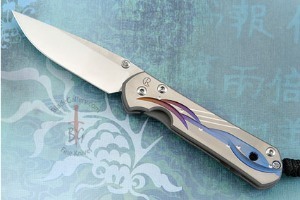 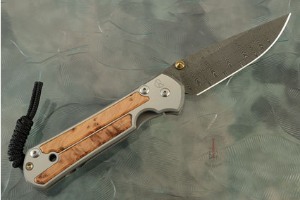 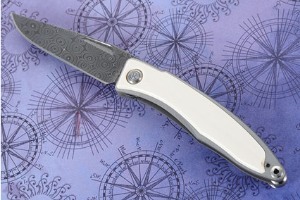 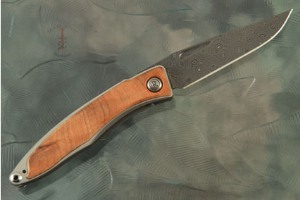 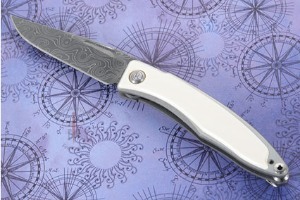 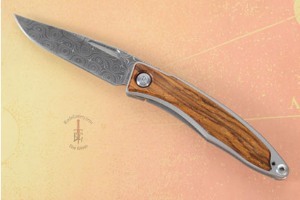 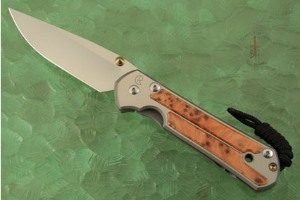 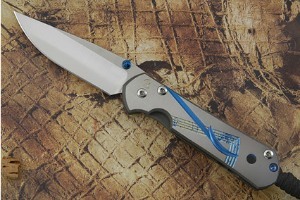 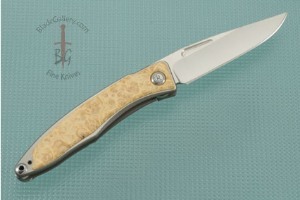 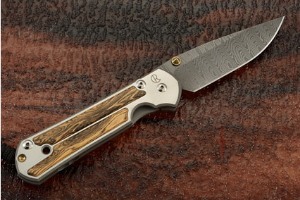 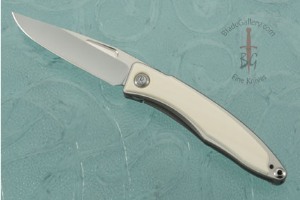 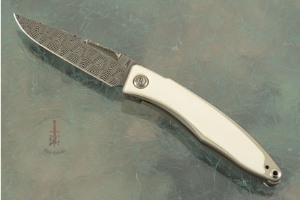 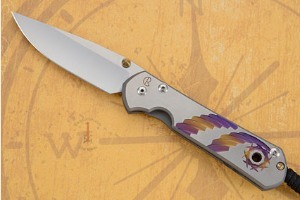 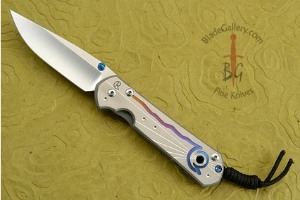 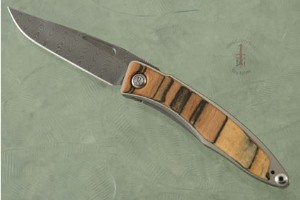 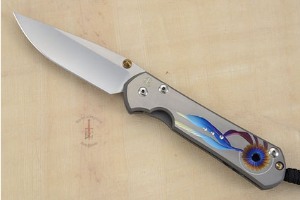 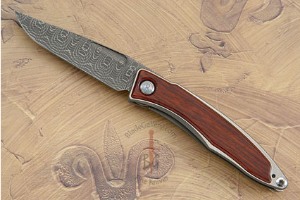 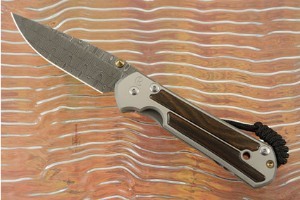 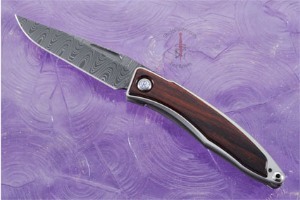 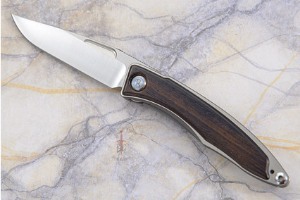 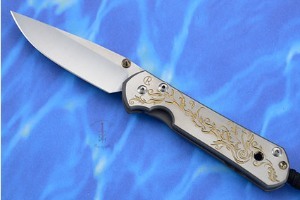 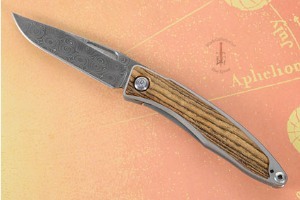 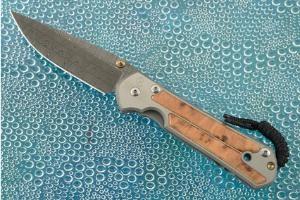 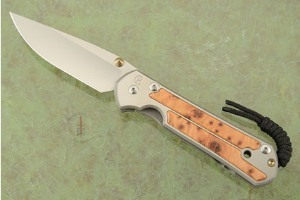 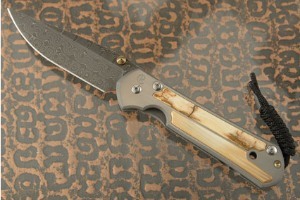 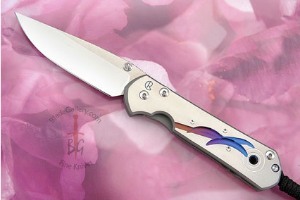 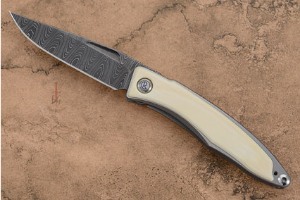 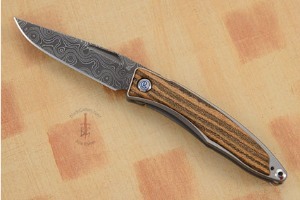 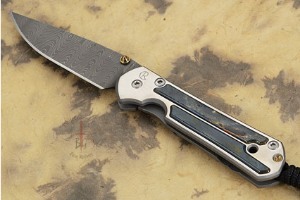 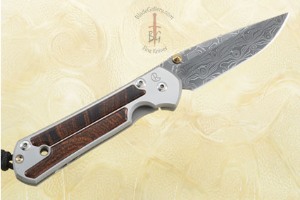 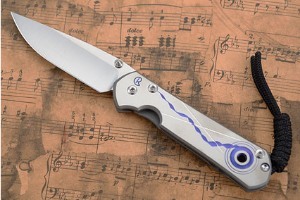 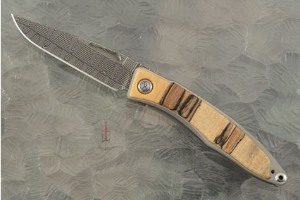 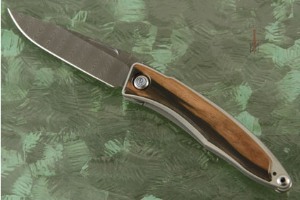 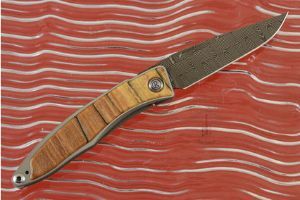 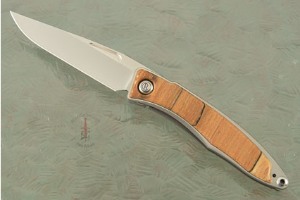 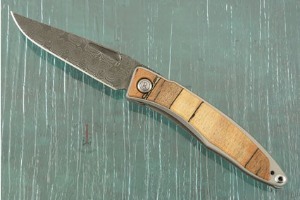 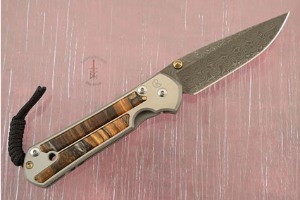 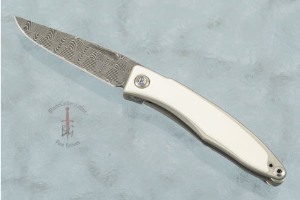 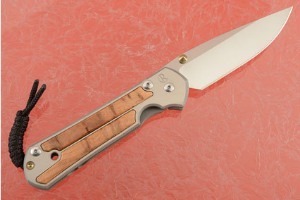 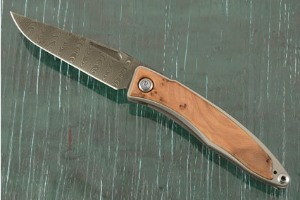 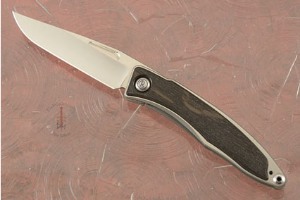 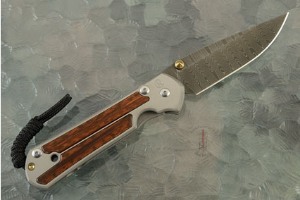 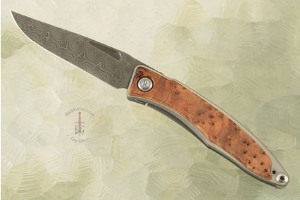 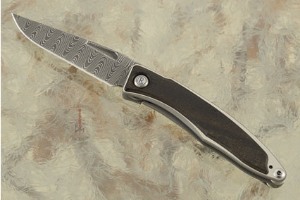 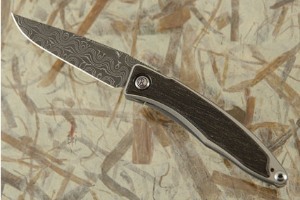 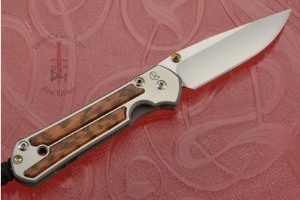 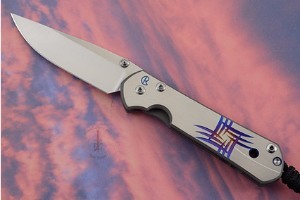 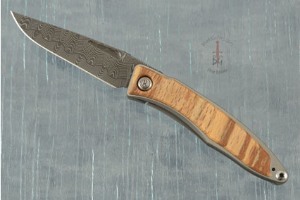 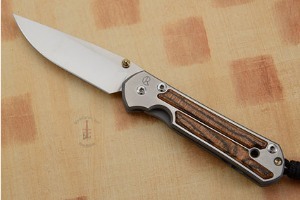 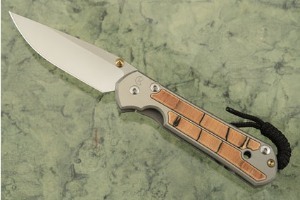 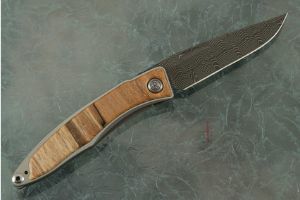 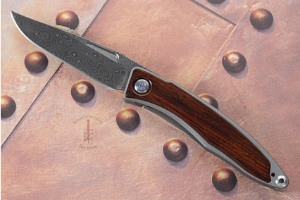 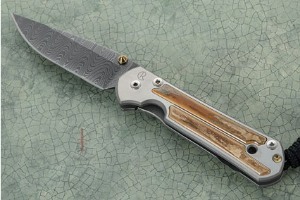 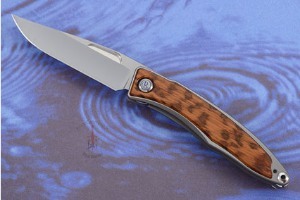 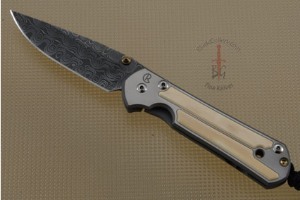 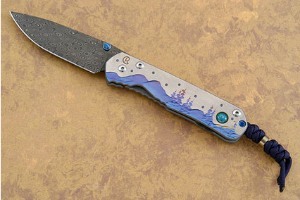 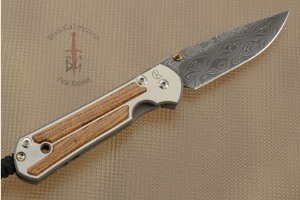 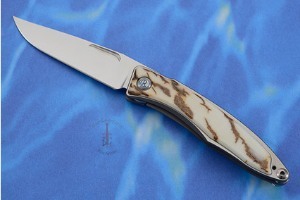 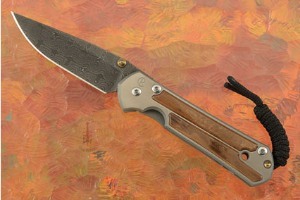 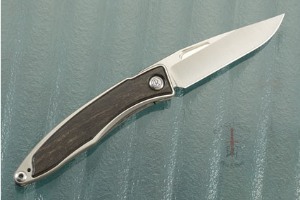 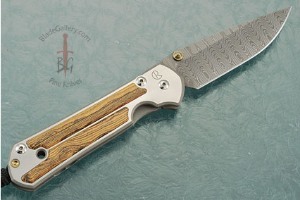 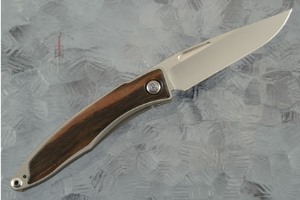 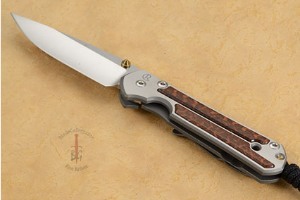 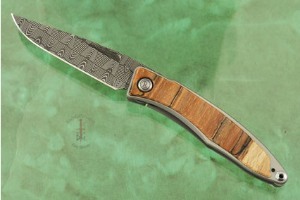 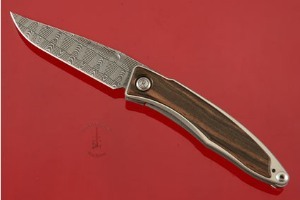 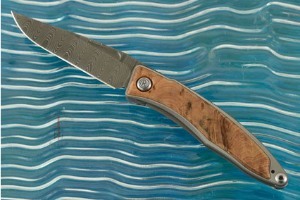 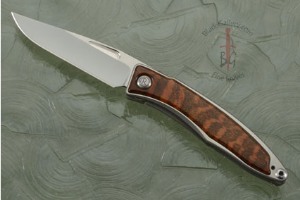 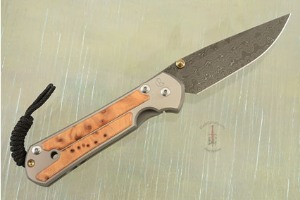 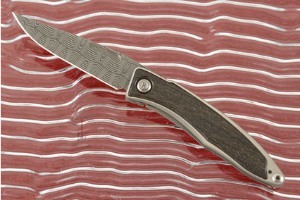 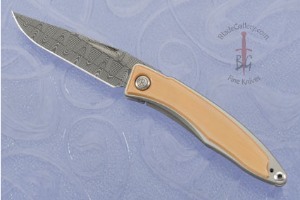 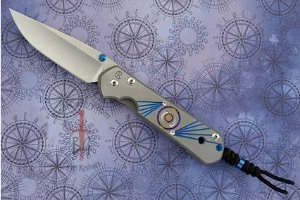 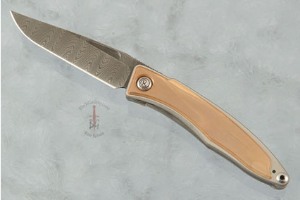 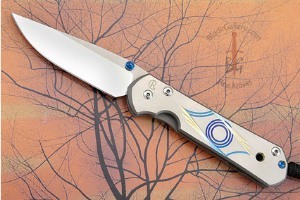 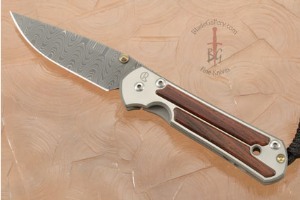 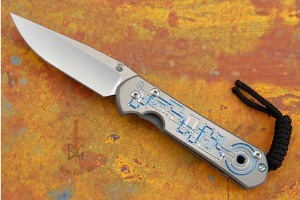 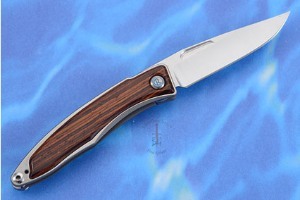 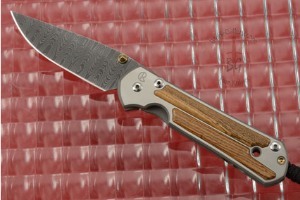 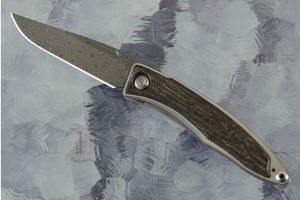 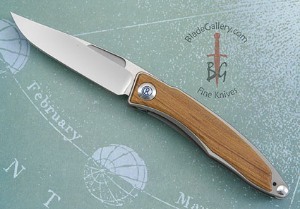 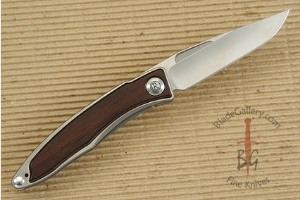 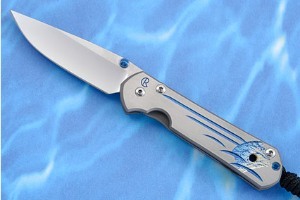 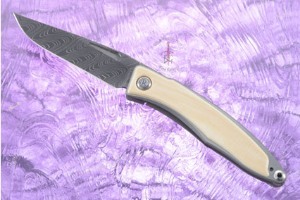 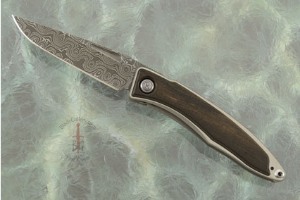 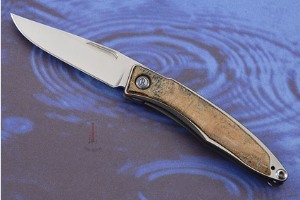 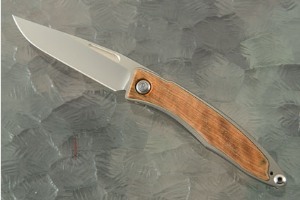 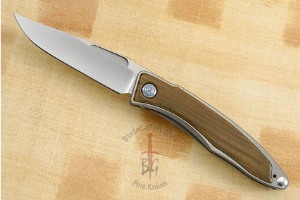 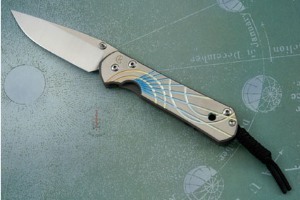 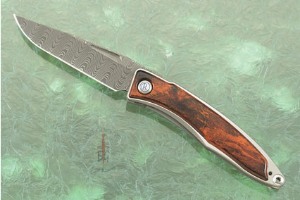 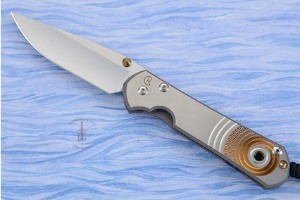 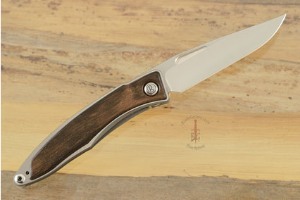 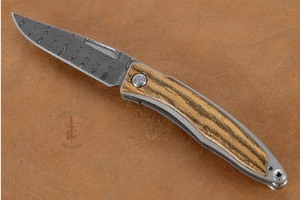 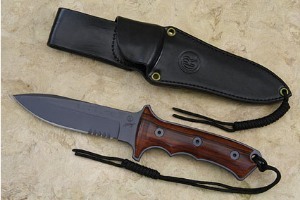 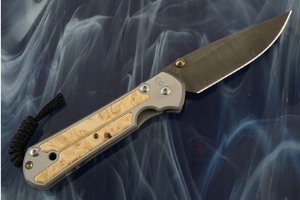 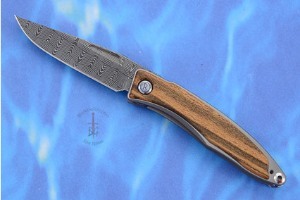 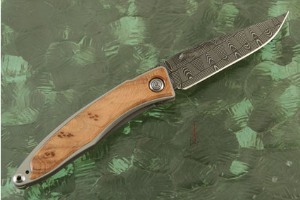 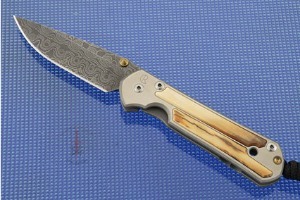 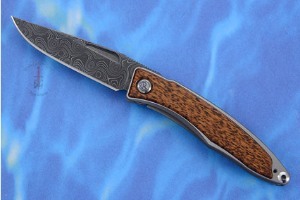 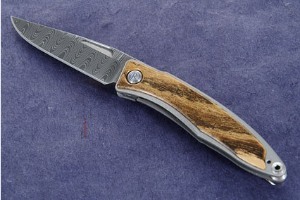 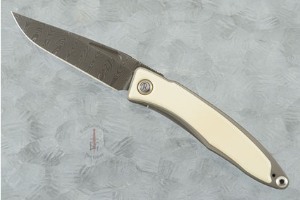 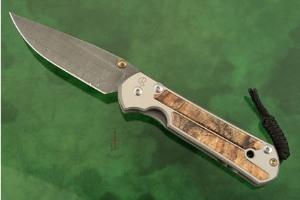 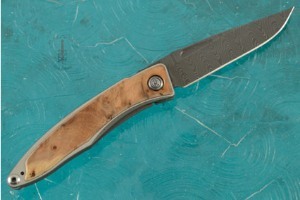 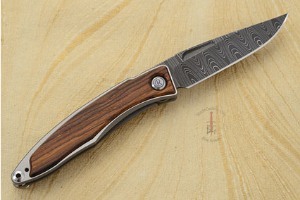 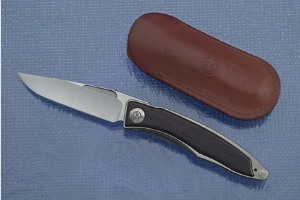 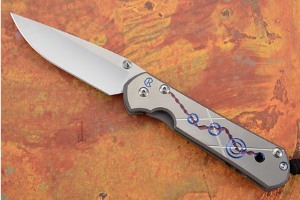 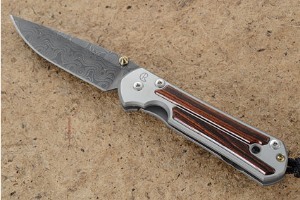 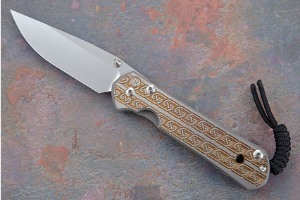 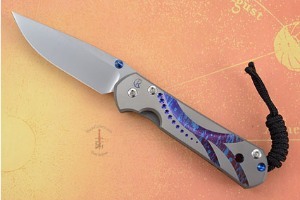 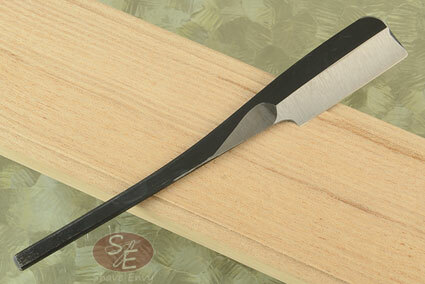 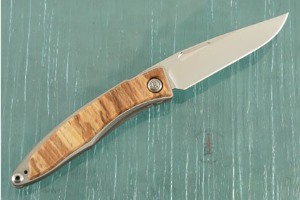 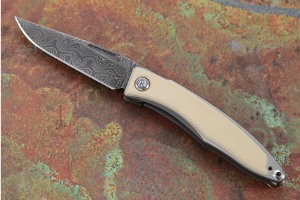 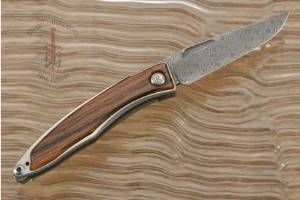 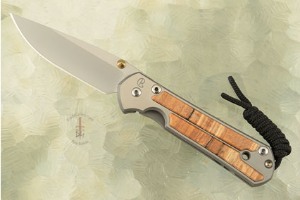 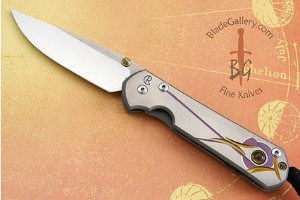 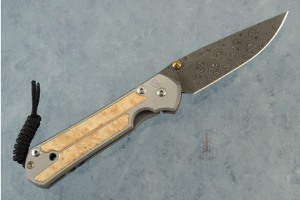 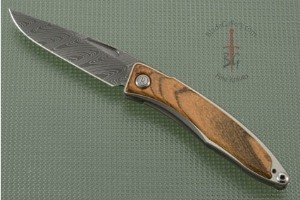 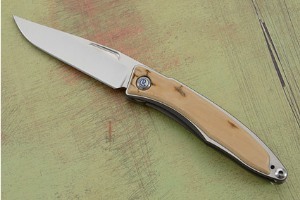 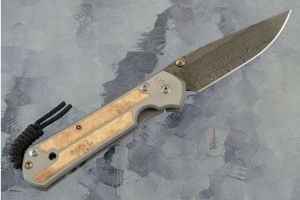 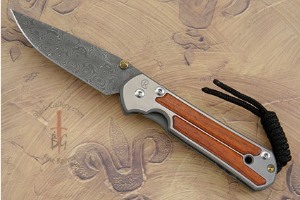 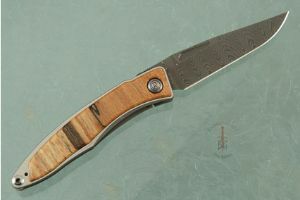 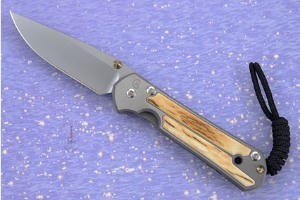 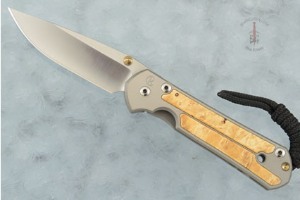 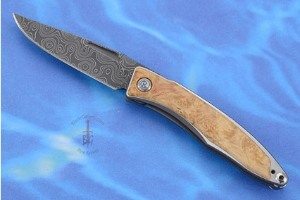 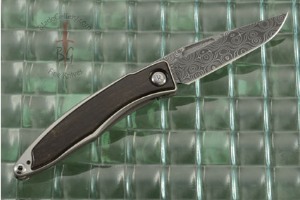 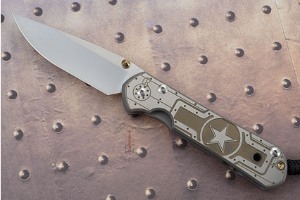 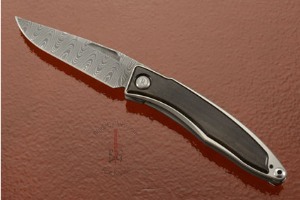 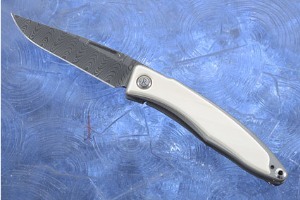 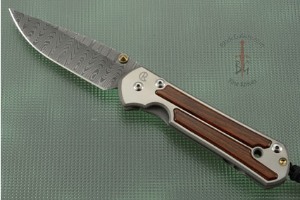 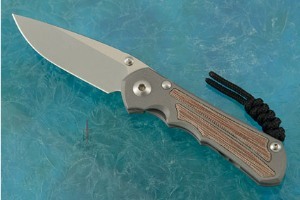 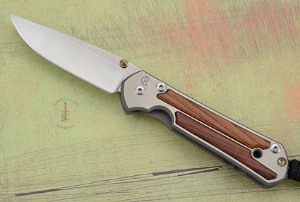 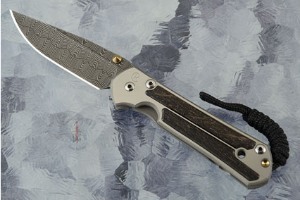 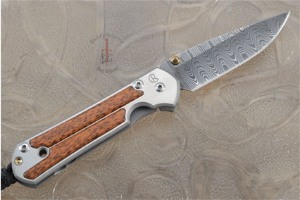 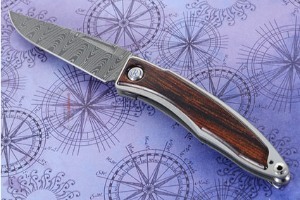 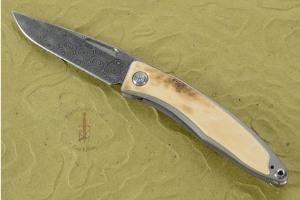 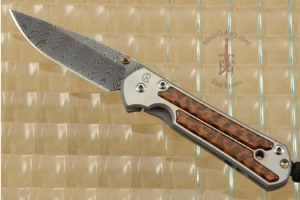 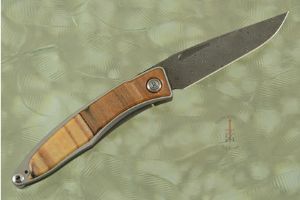 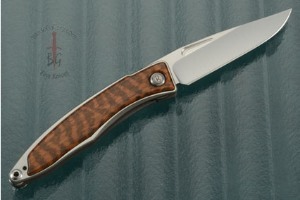 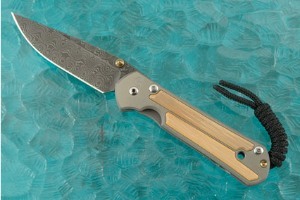 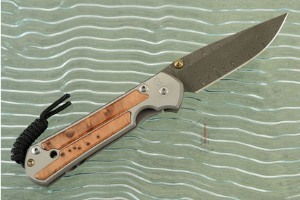 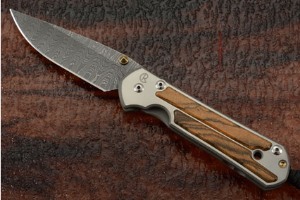 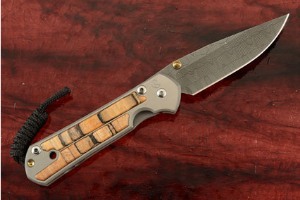 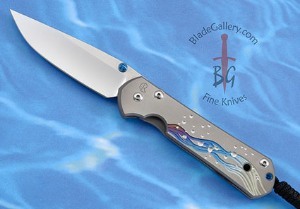 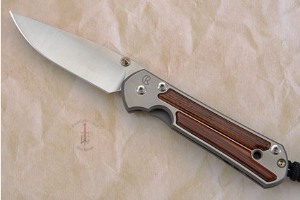 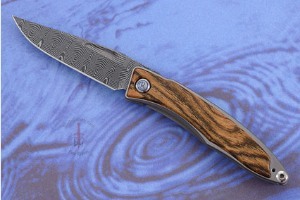 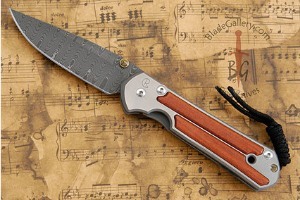 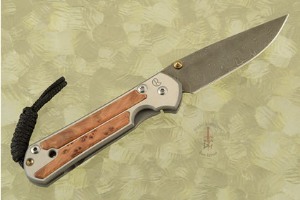 Continual development goes into variations on the integral lock theme, including embellishment of the handle, inlays, and different blade materials. 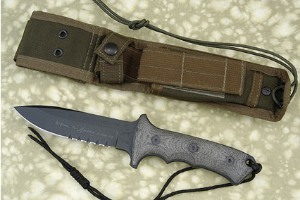 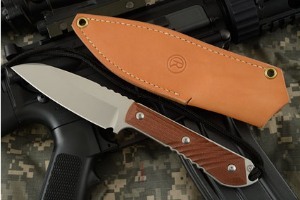 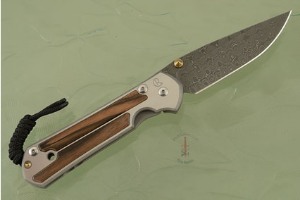 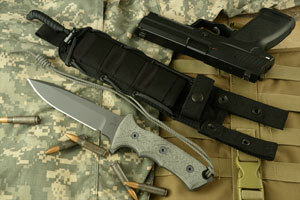 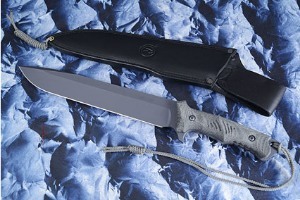 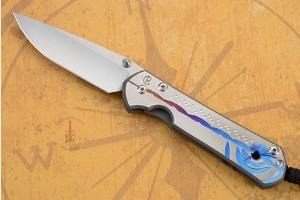 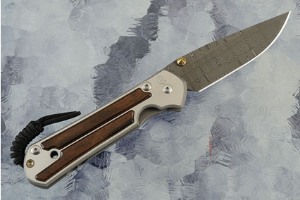 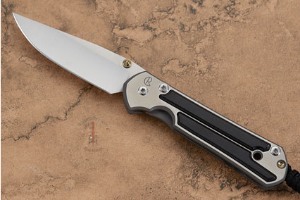 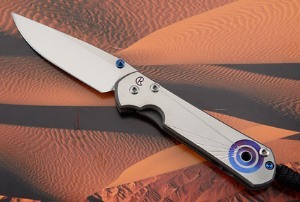 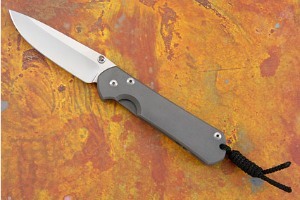 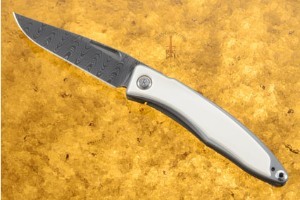 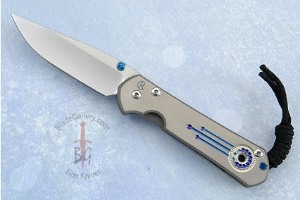 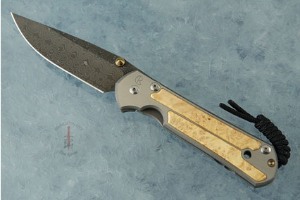 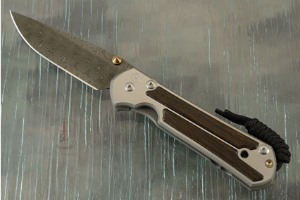 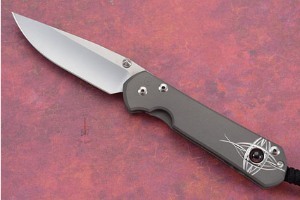 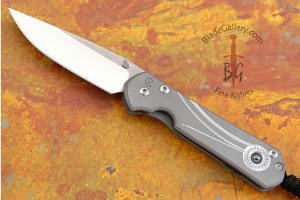 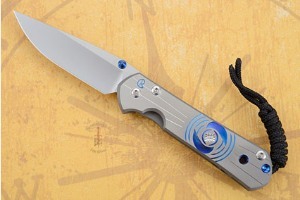 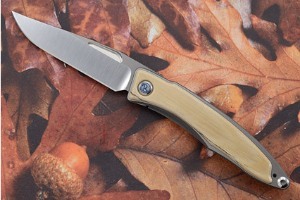 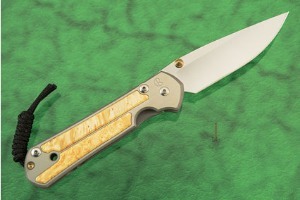 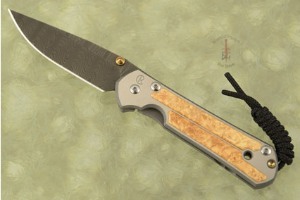 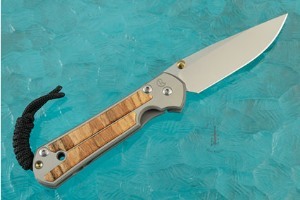 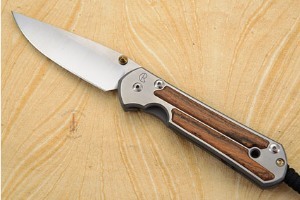 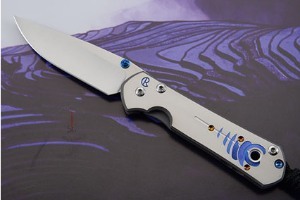 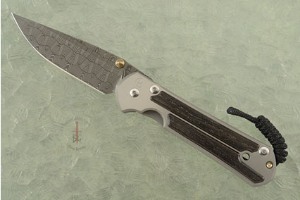 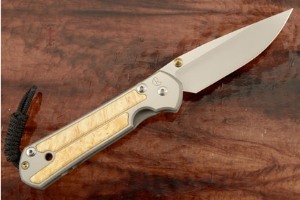 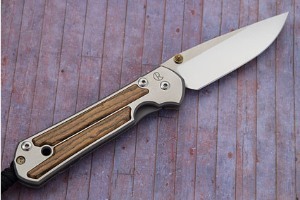 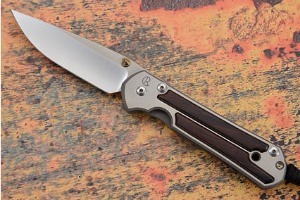 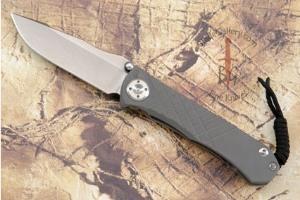 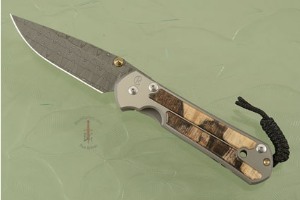 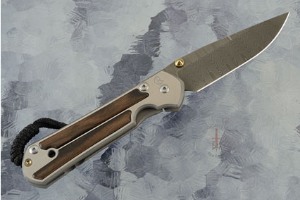 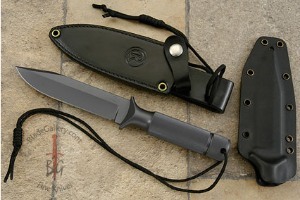 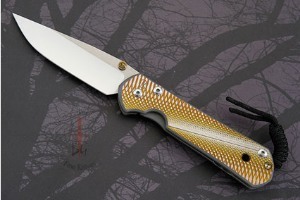 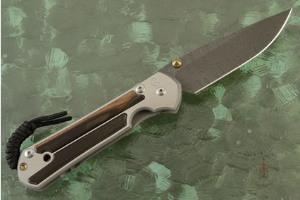 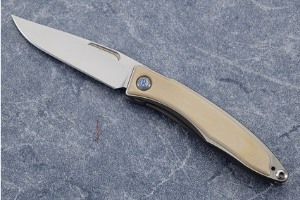 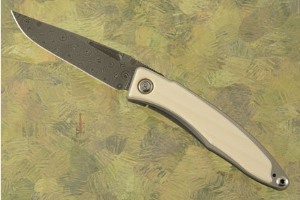 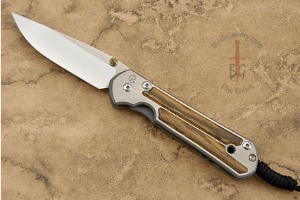 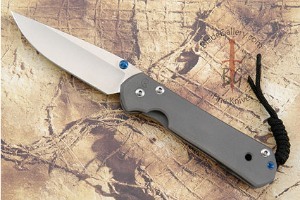 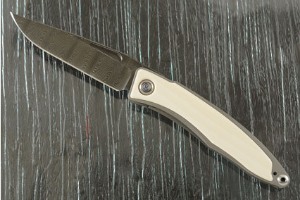 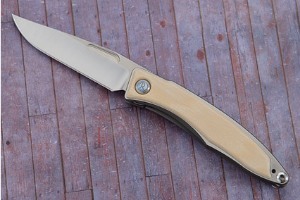 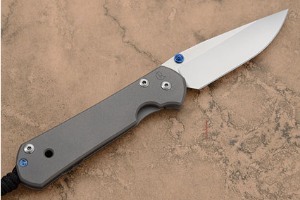 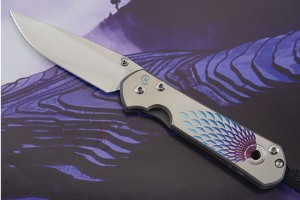 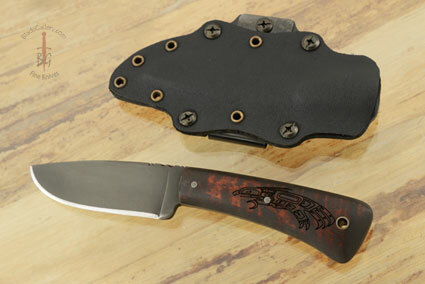 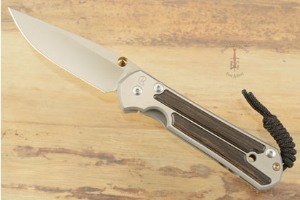 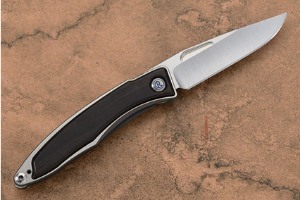 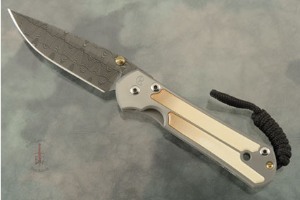 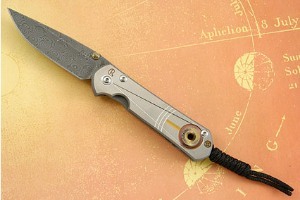 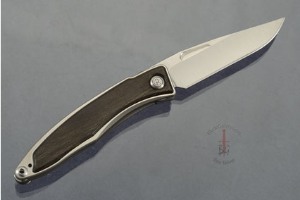 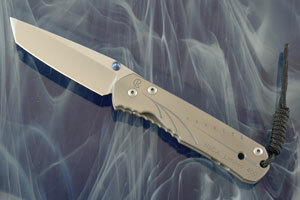 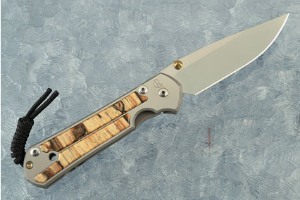 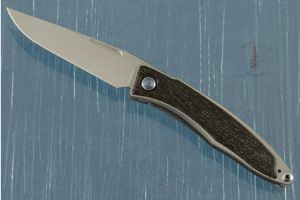 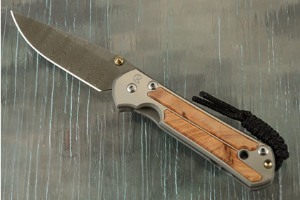 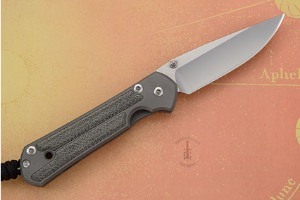 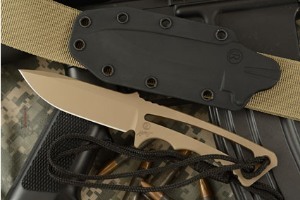 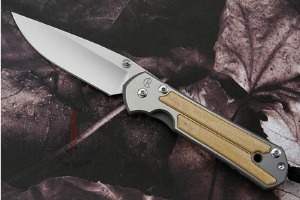 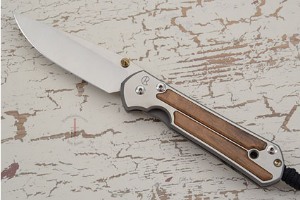 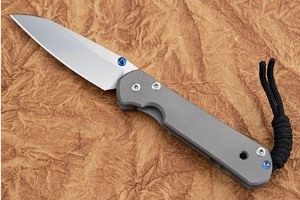 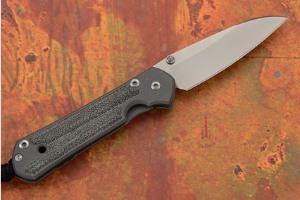 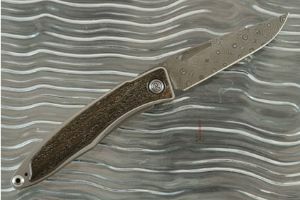 It had been several years since any brand new knife concept came from Chris Reeve Knives and so by the Shot Show 2001, the time was right for the introduction of the Mnandi. 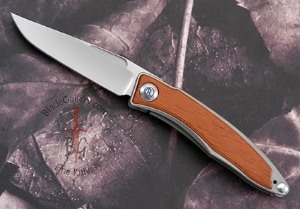 This elegant, discreet pocketknife is perfect for a businessperson because it is very functional but looks entirely non-threatening. 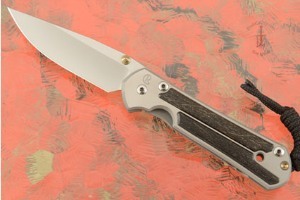 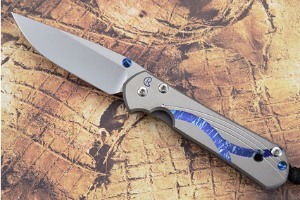 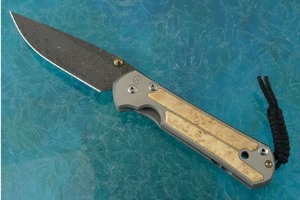 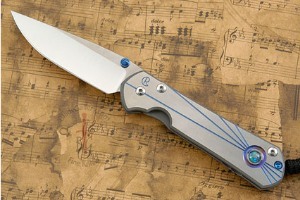 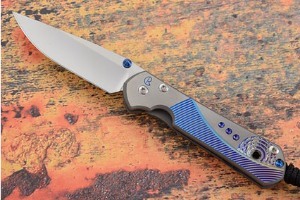 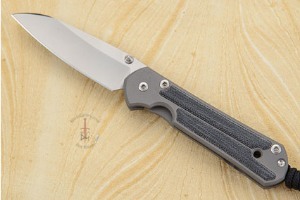 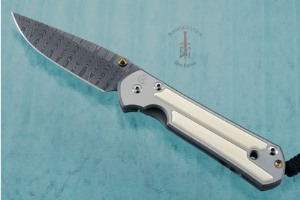 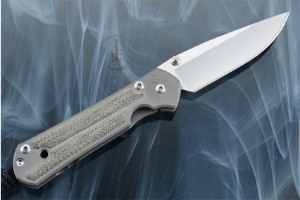 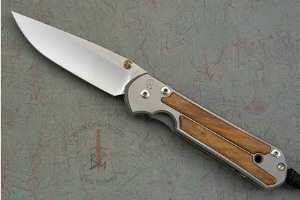 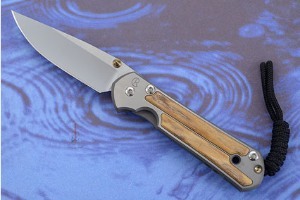 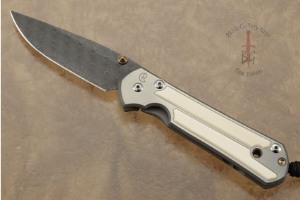 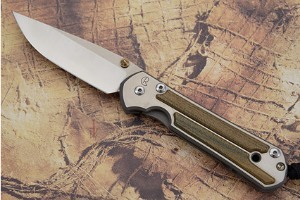 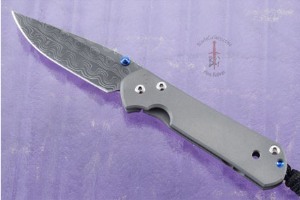 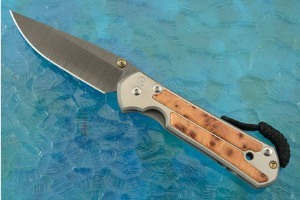 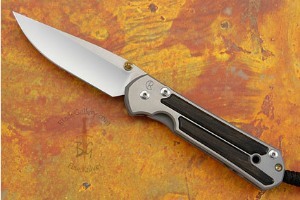 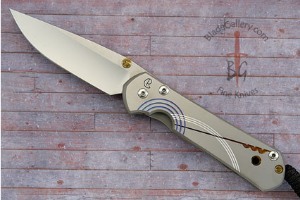 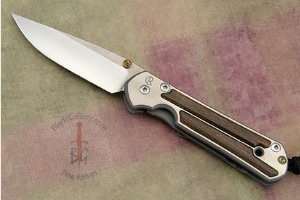 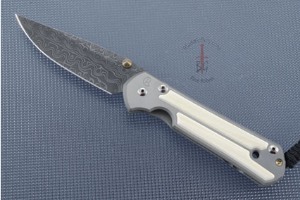 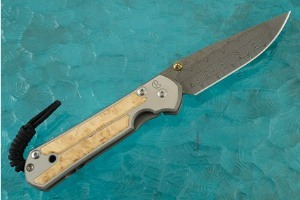 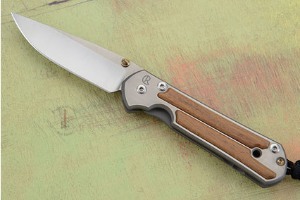 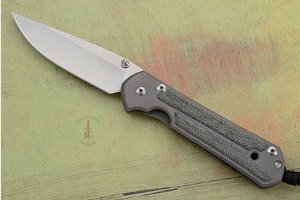 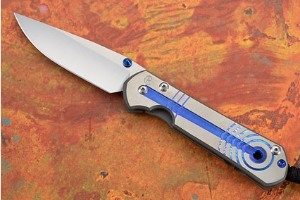 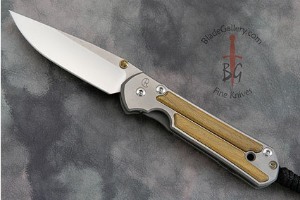 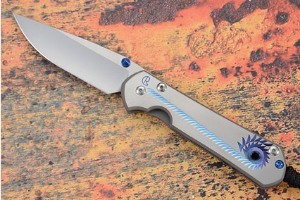 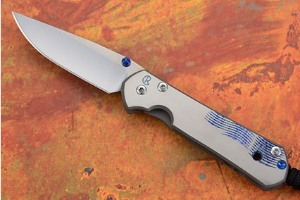 Chris Reeve Knives, still operating out of Boise, ID, currently has a staff of 17 employees and is a company that has a world-wide reputation for raising the standards bar - "pushing the envelope" - for the industry. 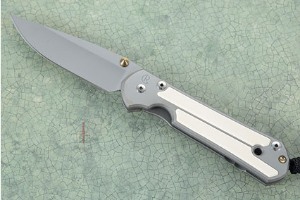 To this day, Chris still pays a great deal of attention to the construction of each knife. 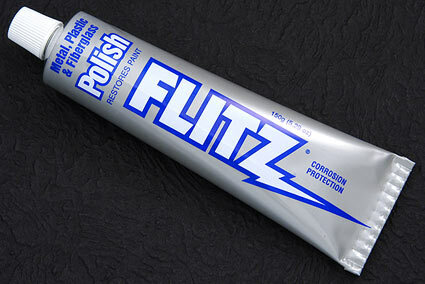 He backs his product with the best customer service he and his employees can offer. 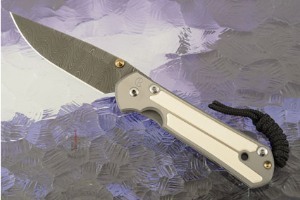 Large Sebenza 21 with Unique Graphic - "Lisa's Pick"
Small Sebenza 21 with Unique Graphic - "Echo"
Small Sebenza 21 with Unique Graphic - "Forest Window"
Small Sebenza 21 with Unique Graphic - "Lisa's Pick"
Small Sebenza 21 with Unique Graphic - "Waves"
5.359375 5.234375 5359.375 5234.375 Products Display completed. 5.375 0.015625 5375 15.625 Trailer Started. 5.609375 0.234375 5609.375 234.375 Trailer Completed.